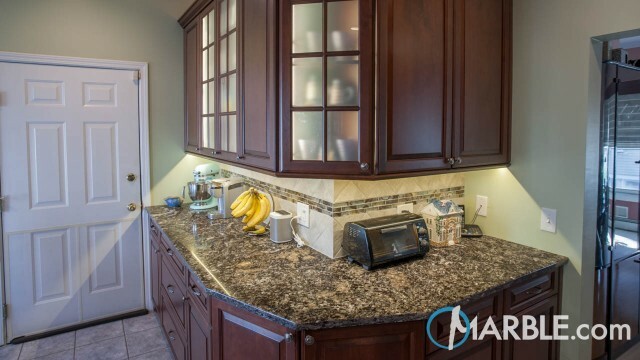 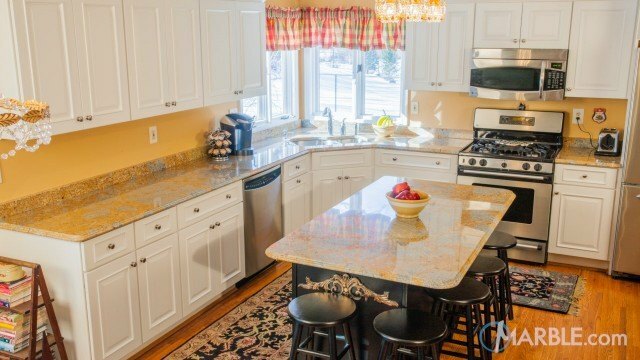 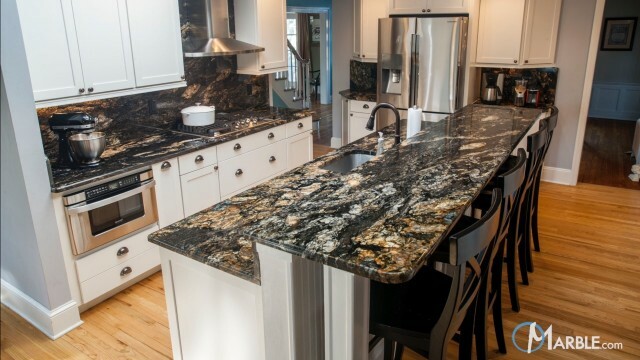 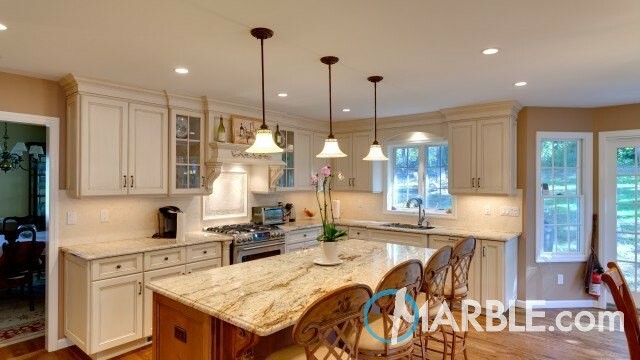 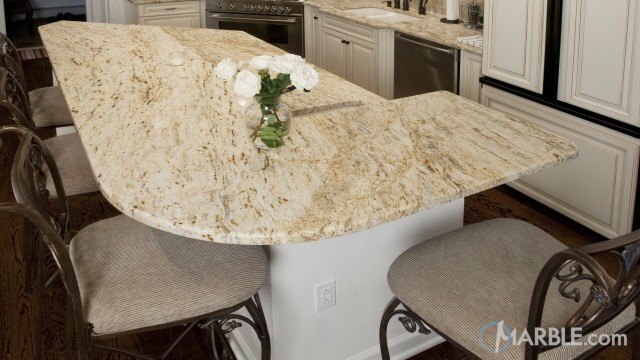 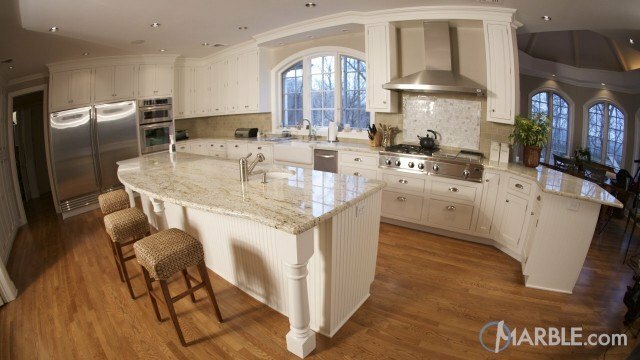 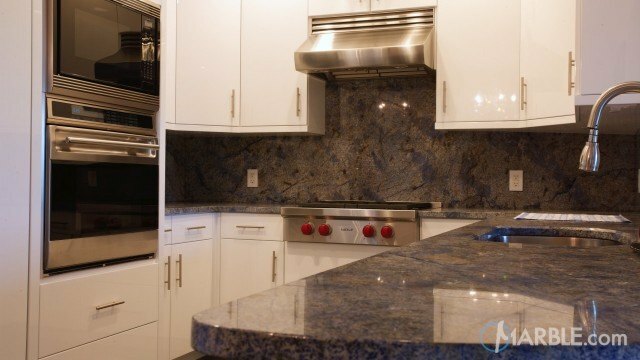 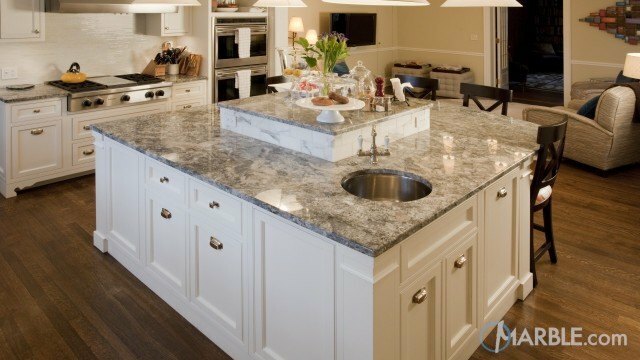 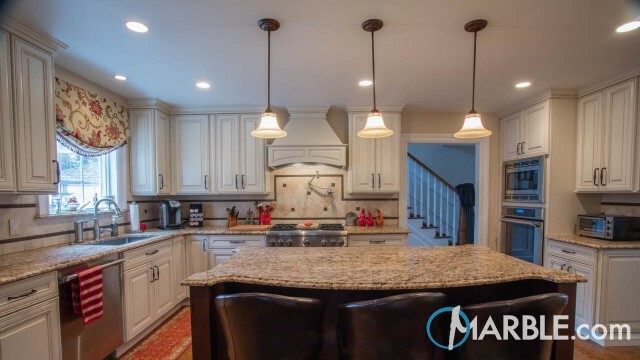 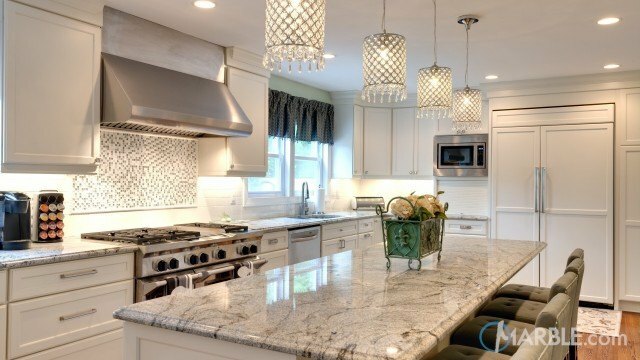 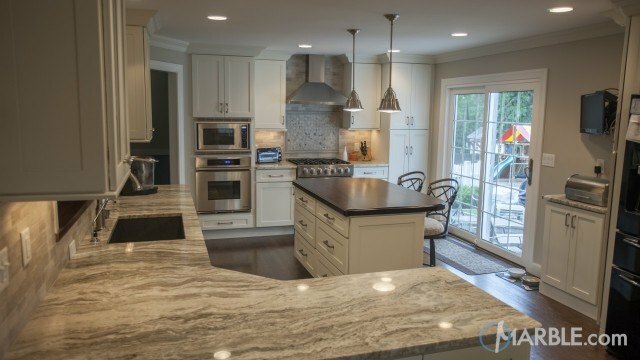 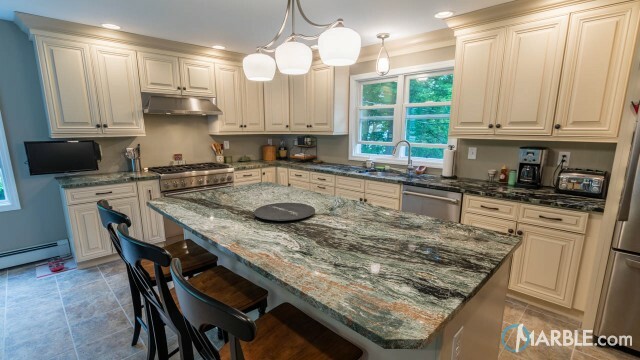 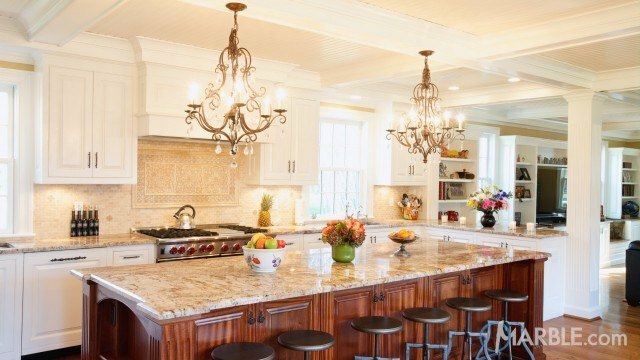 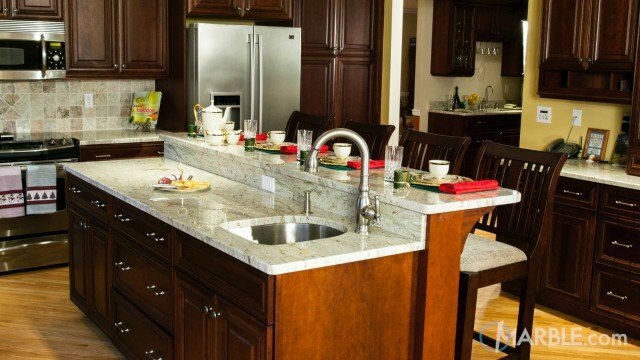 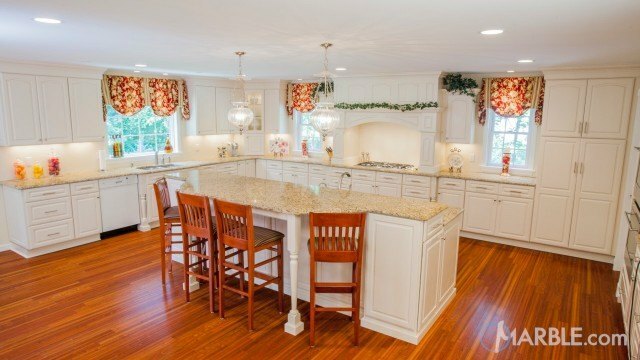 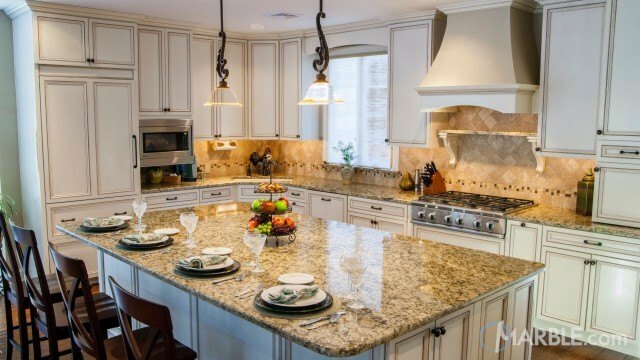 Striking white cabinets and moldings set off the Madura Gold granite counter tops. 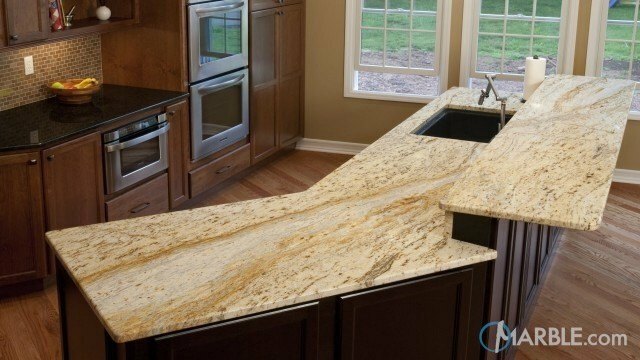 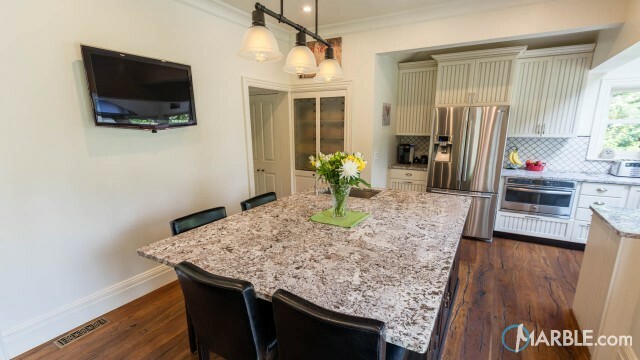 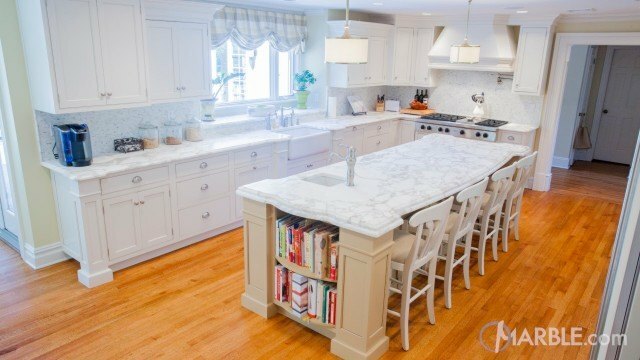 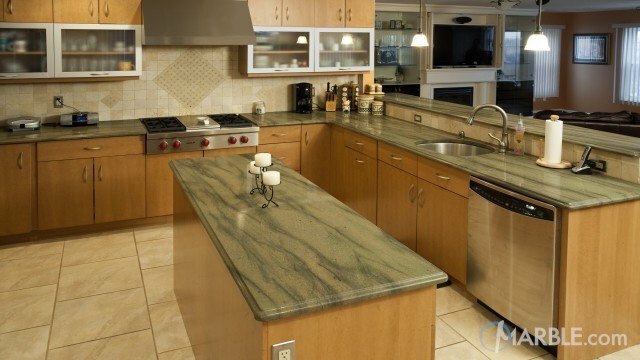 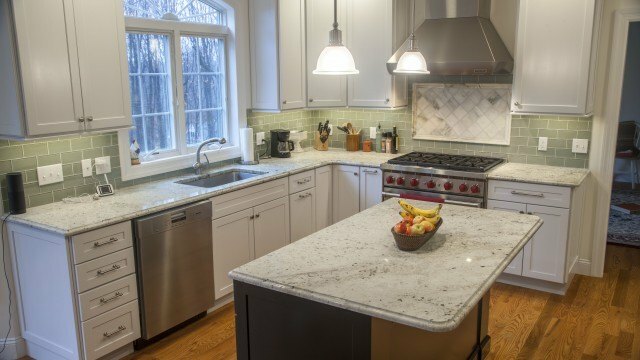 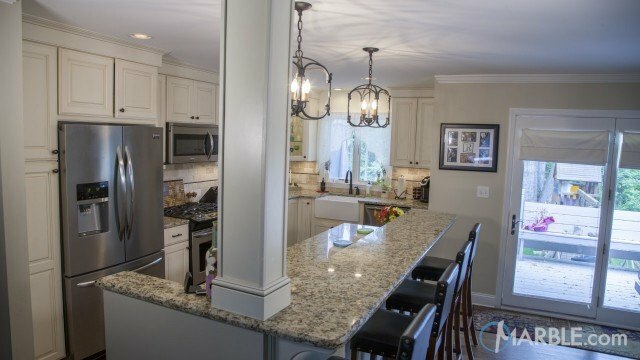 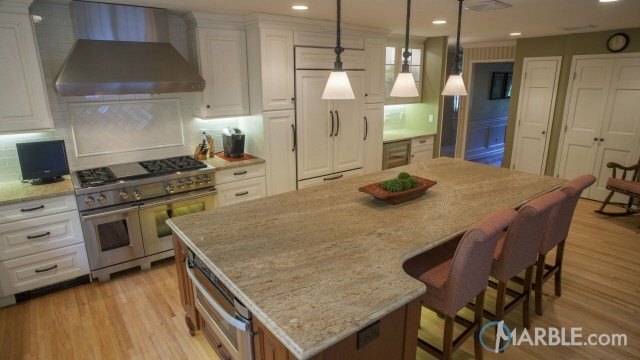 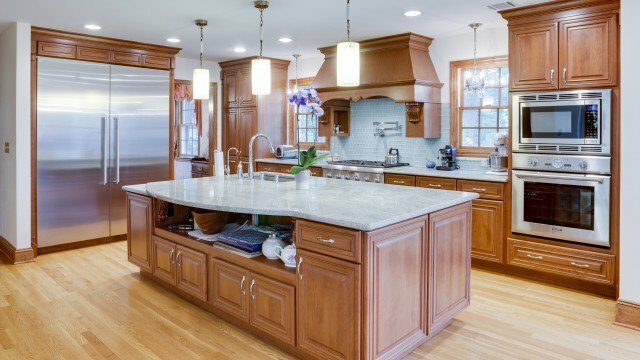 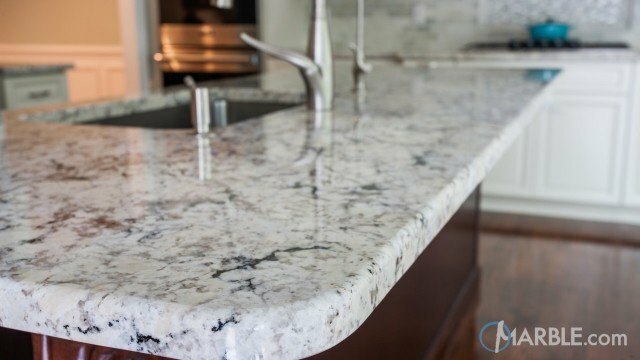 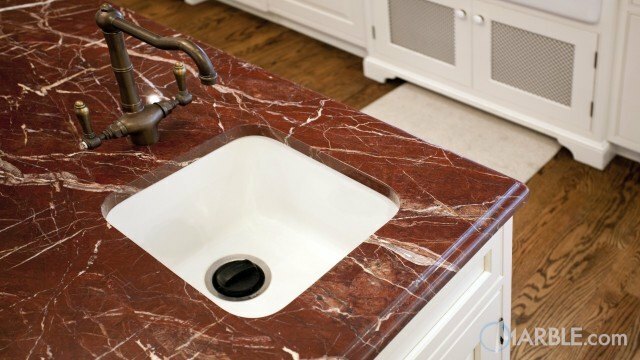 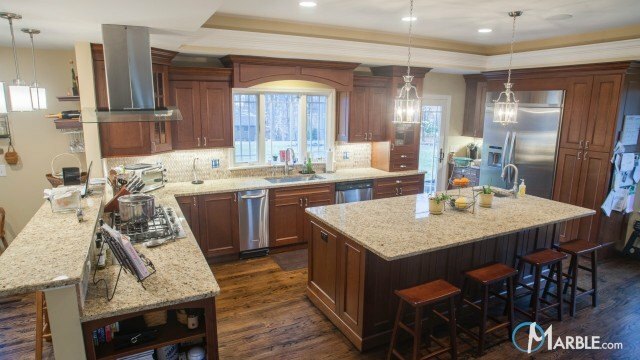 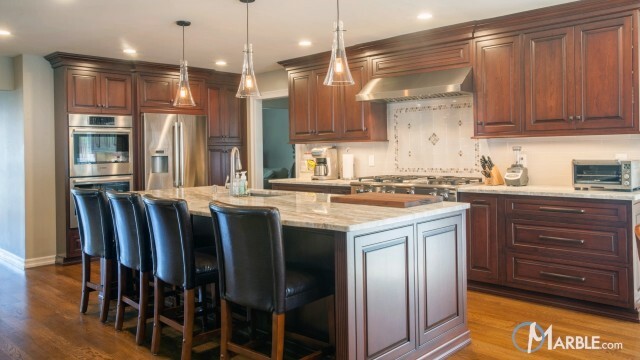 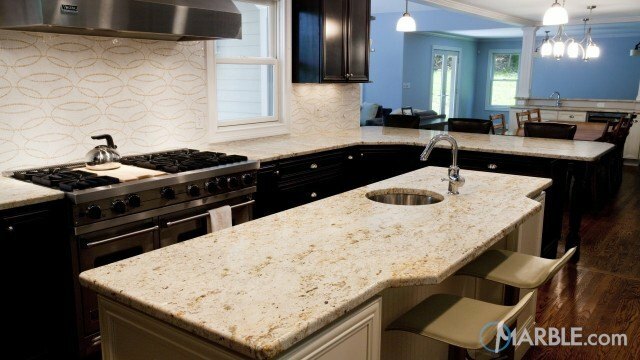 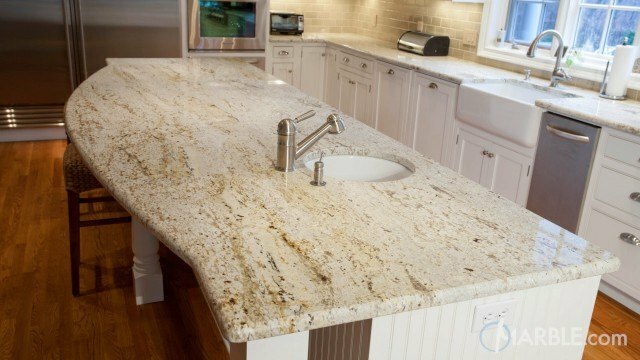 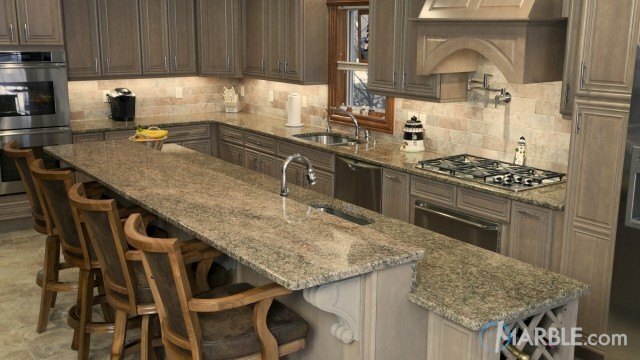 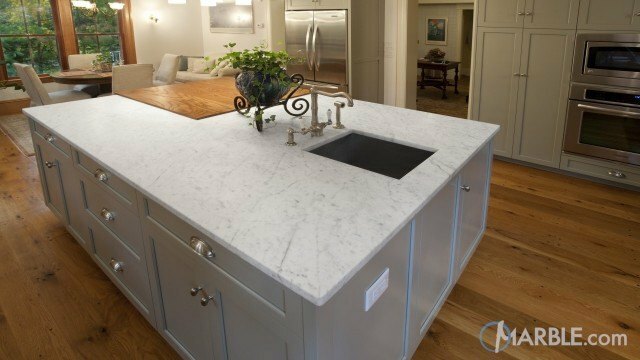 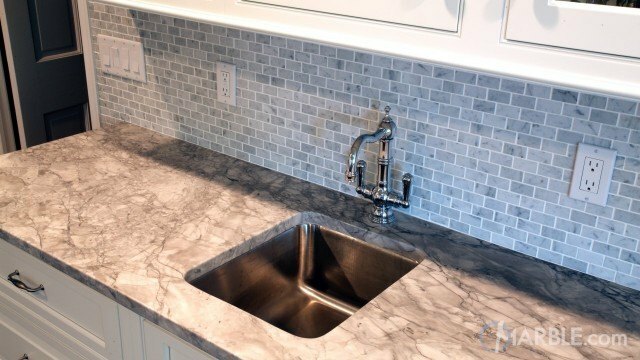 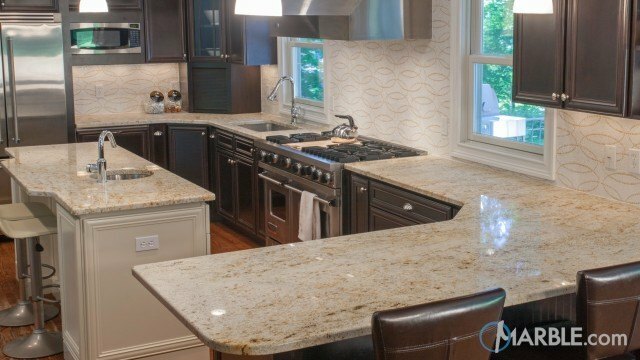 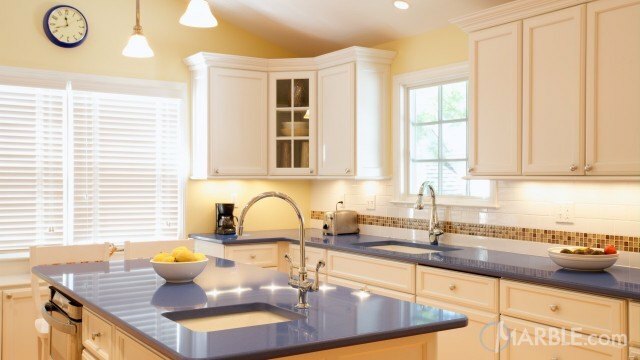 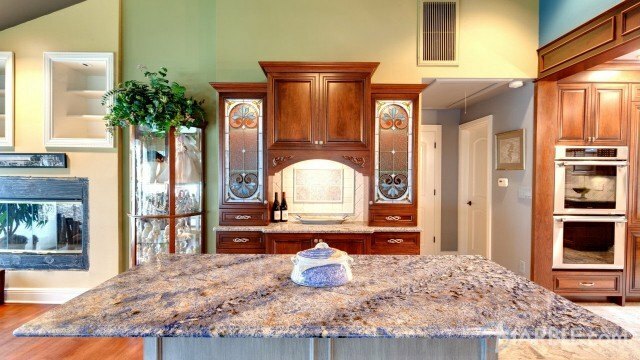 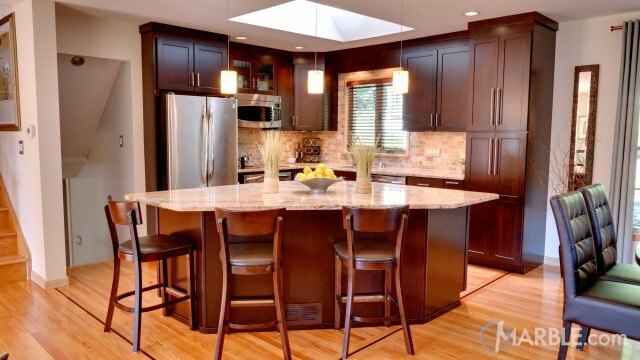 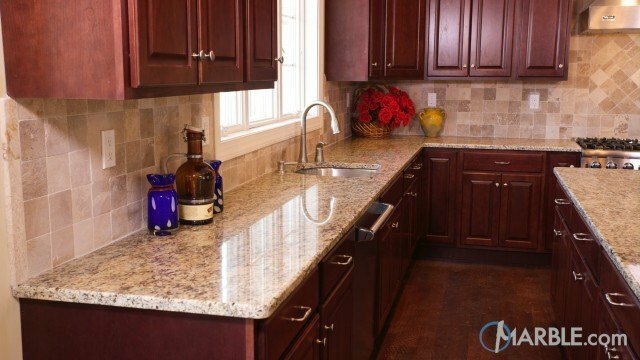 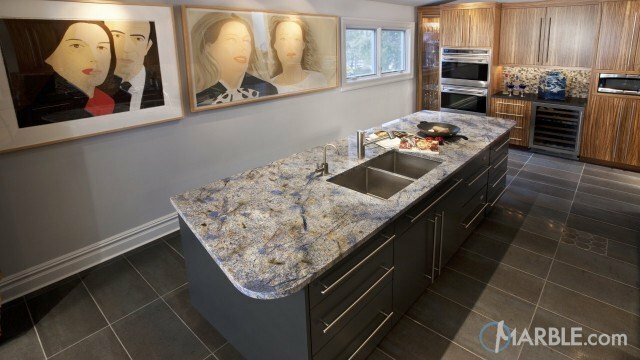 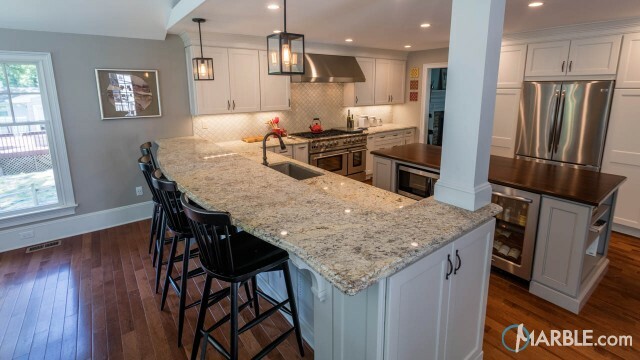 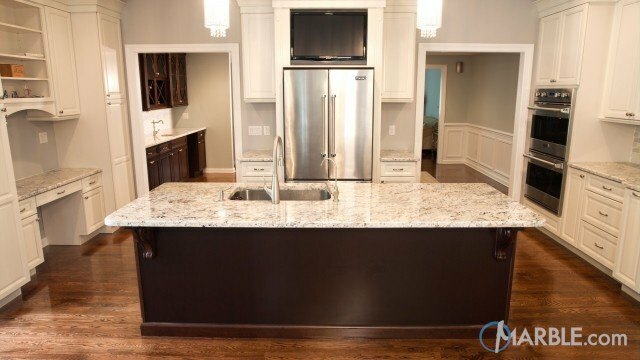 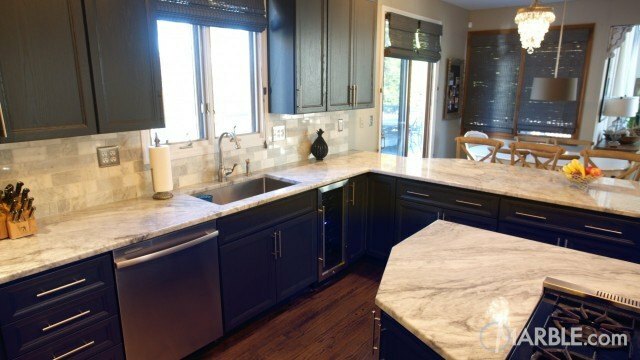 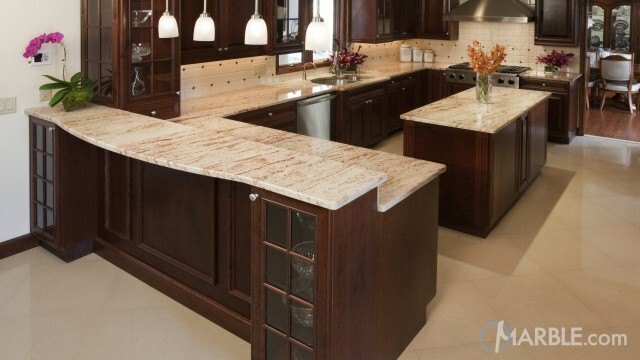 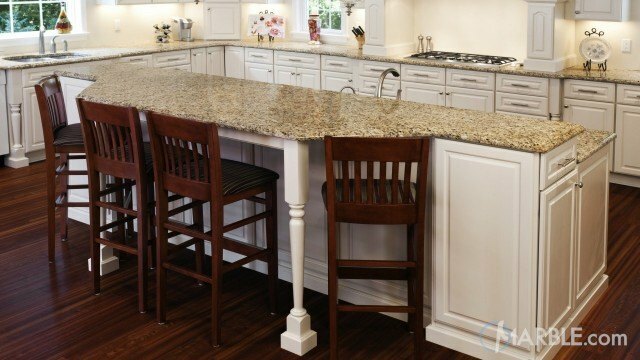 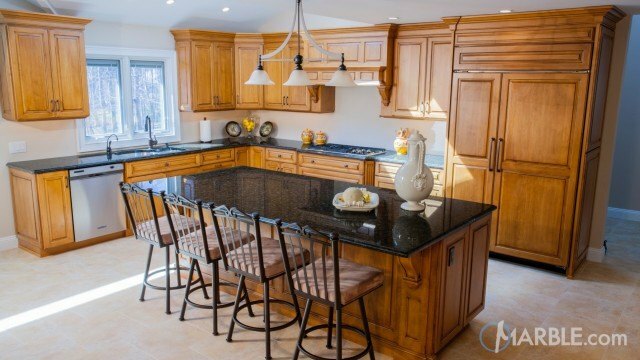 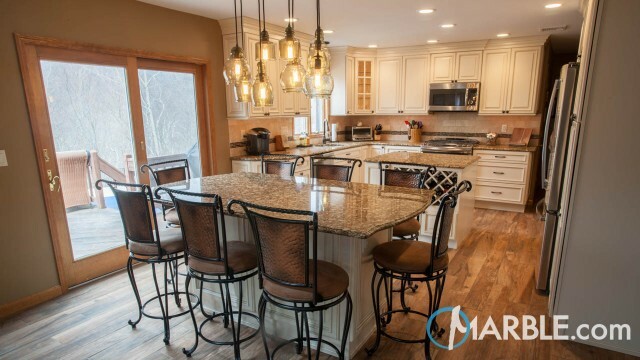 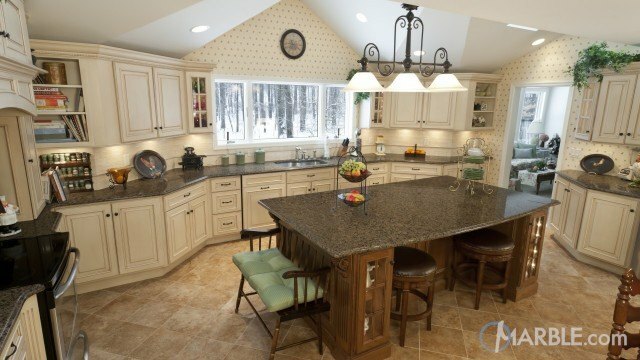 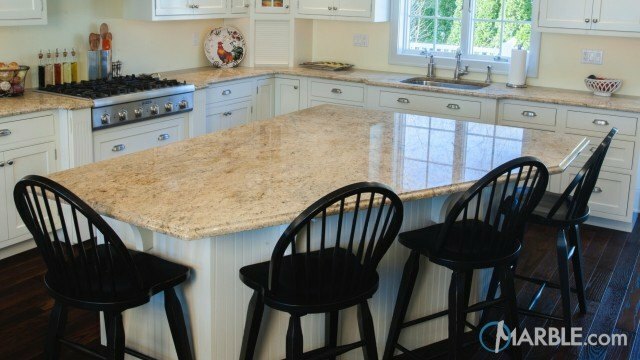 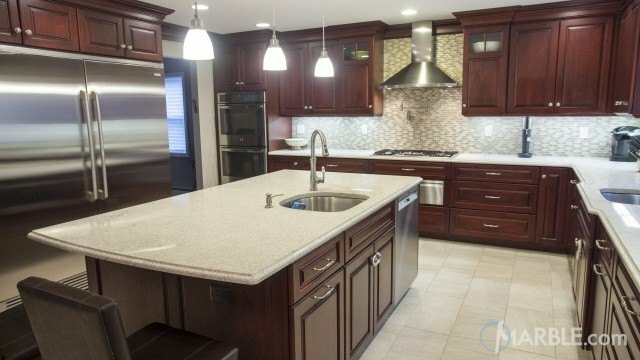 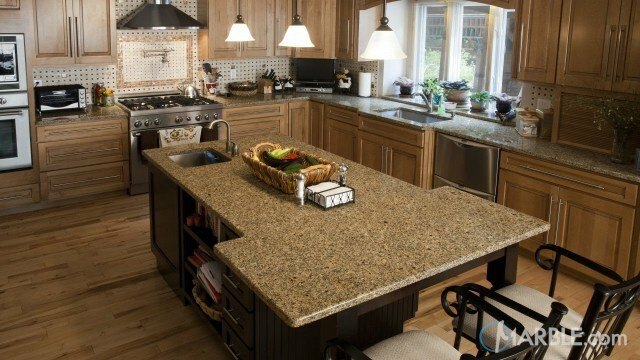 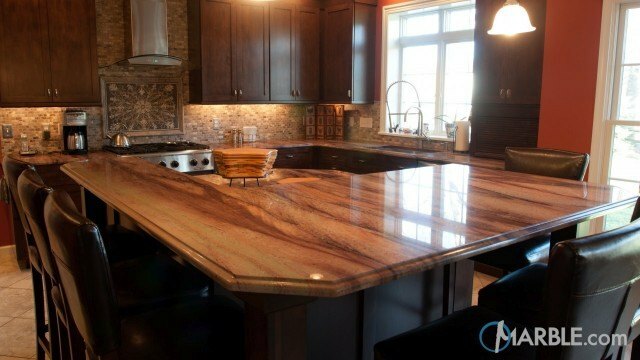 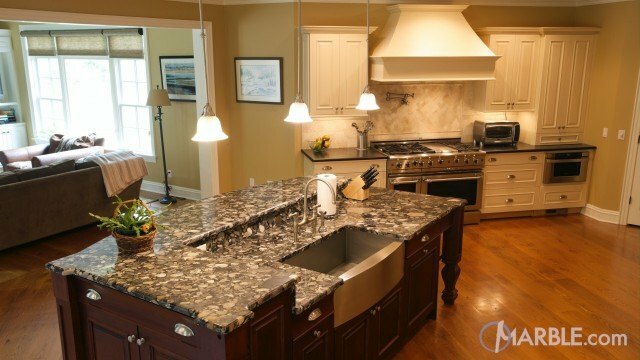 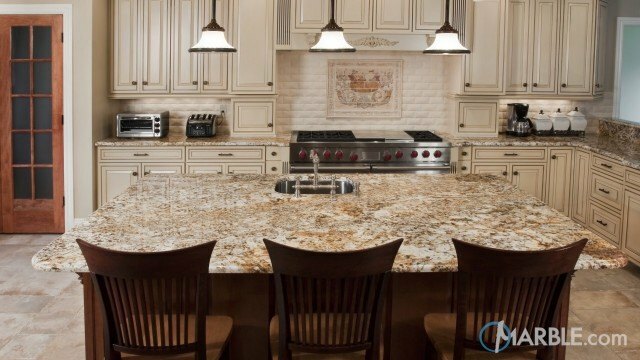 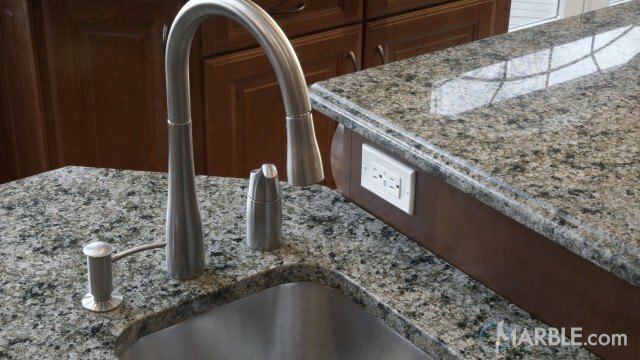 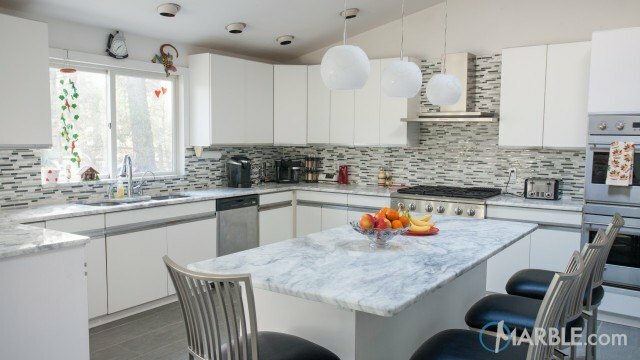 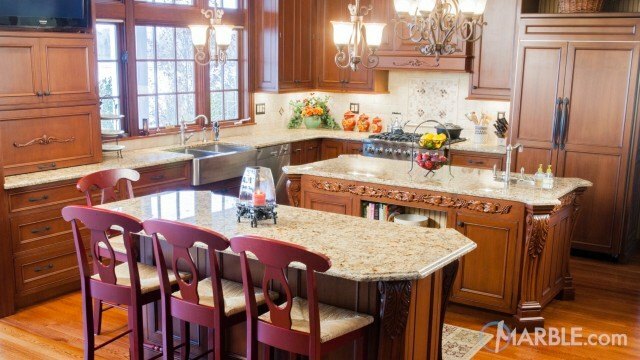 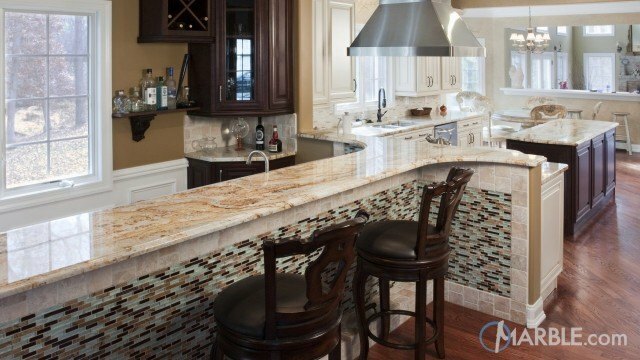 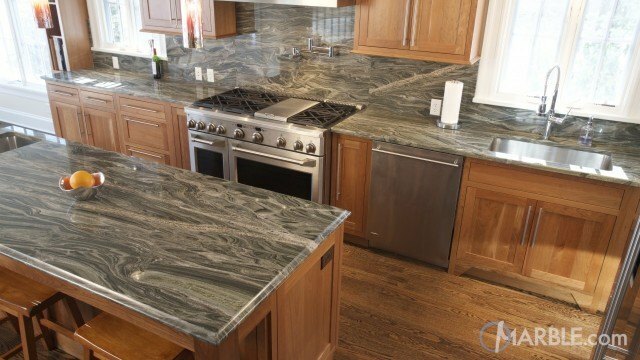 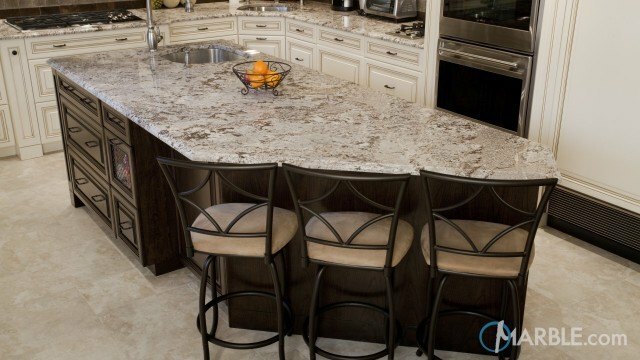 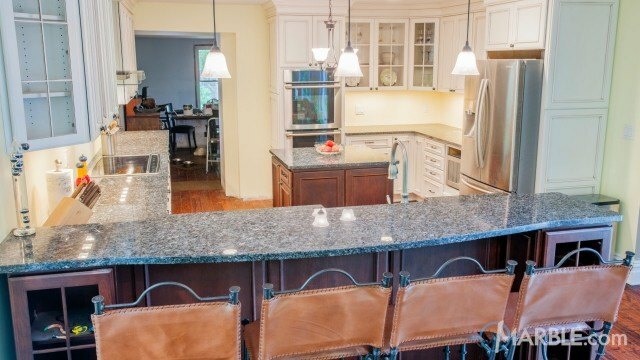 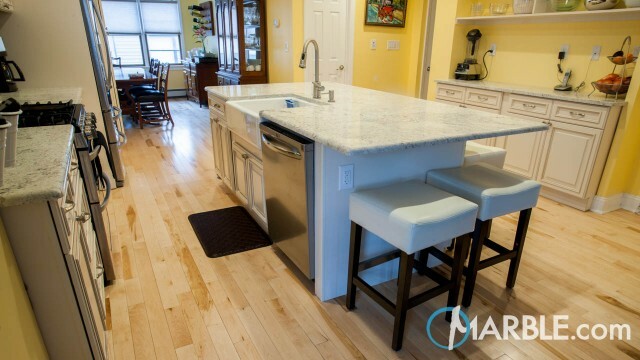 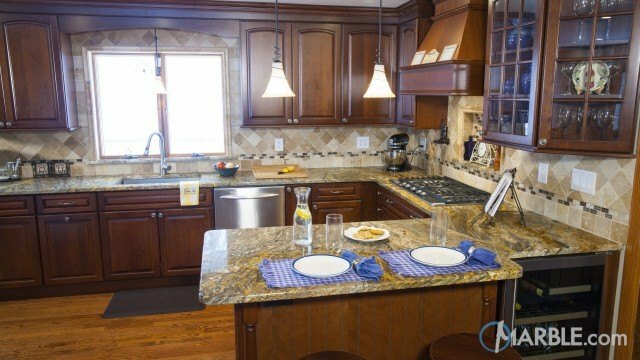 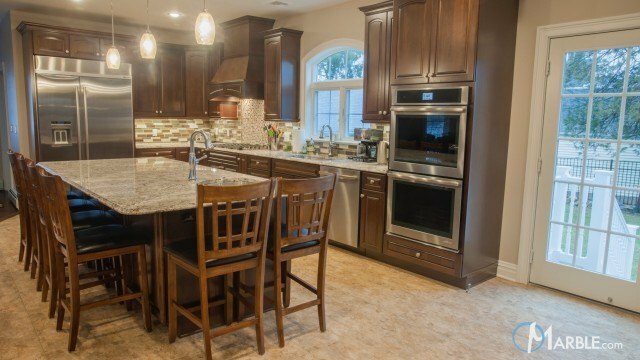 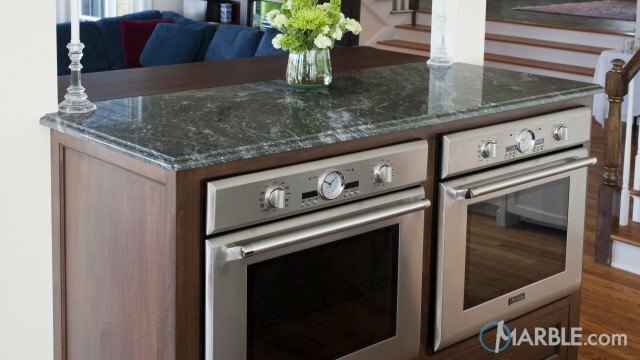 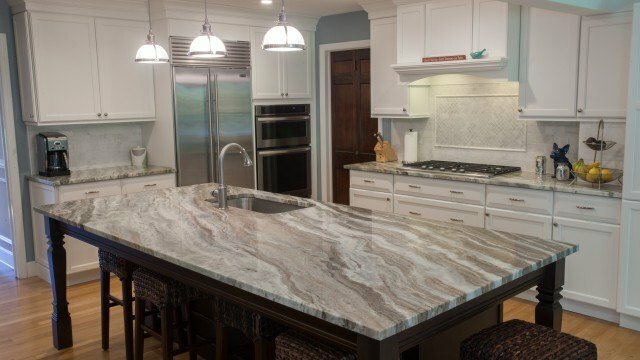 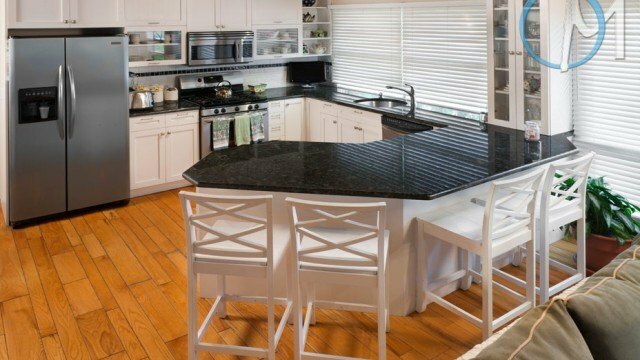 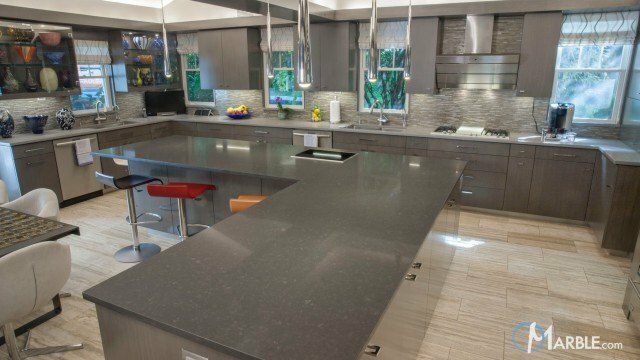 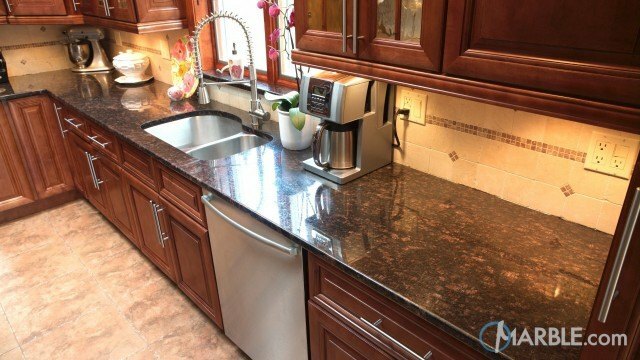 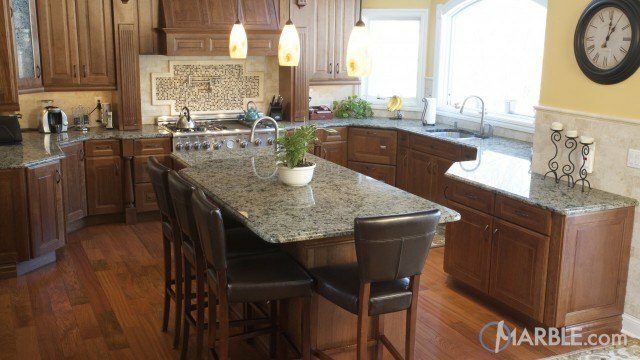 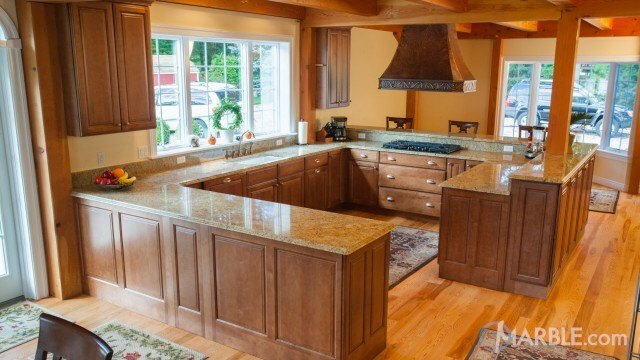 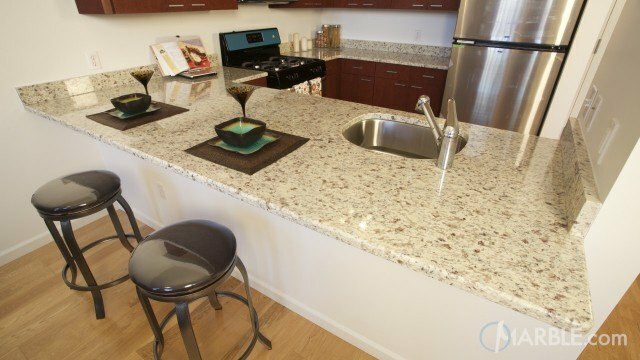 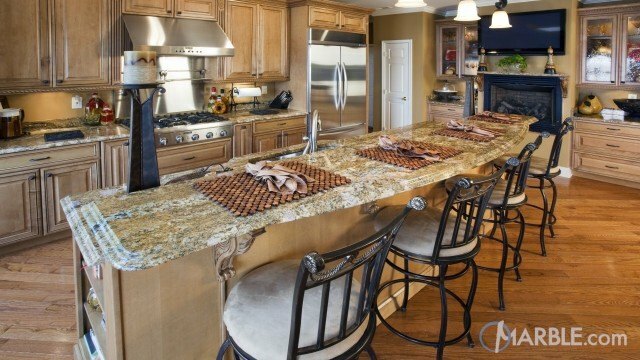 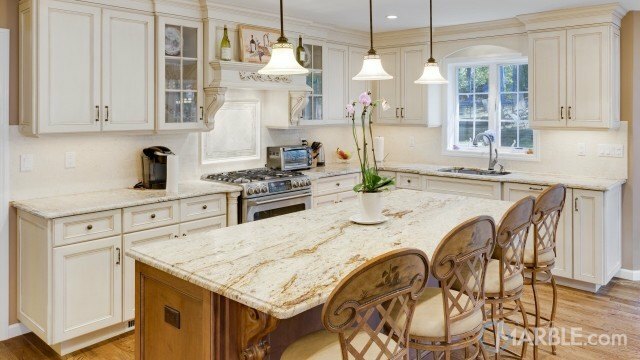 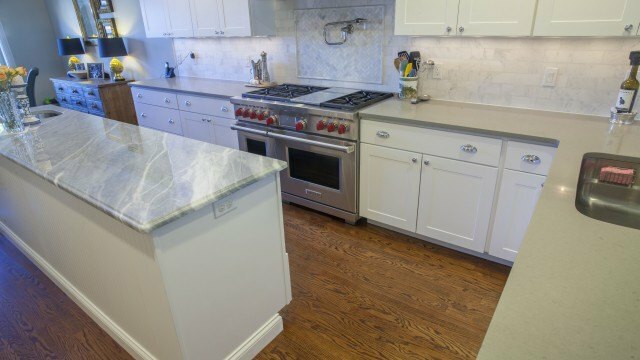 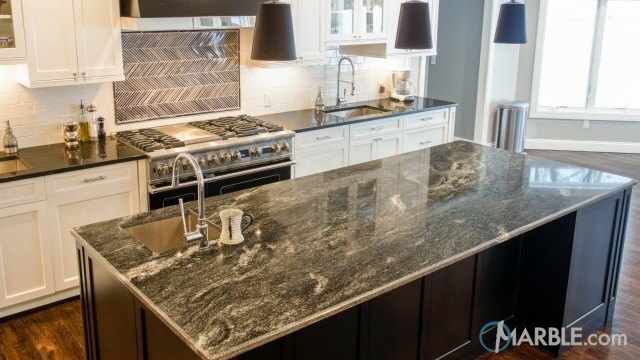 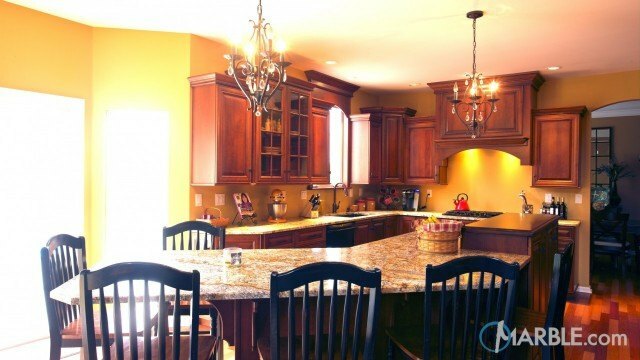 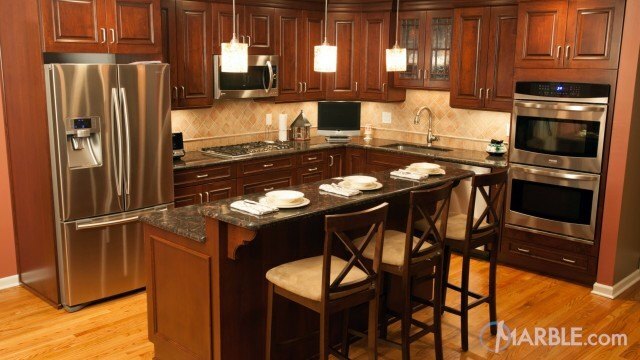 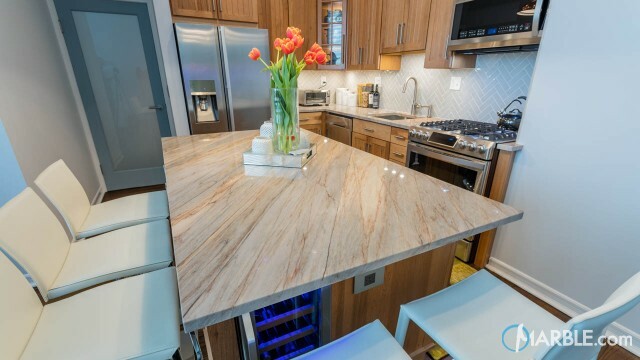 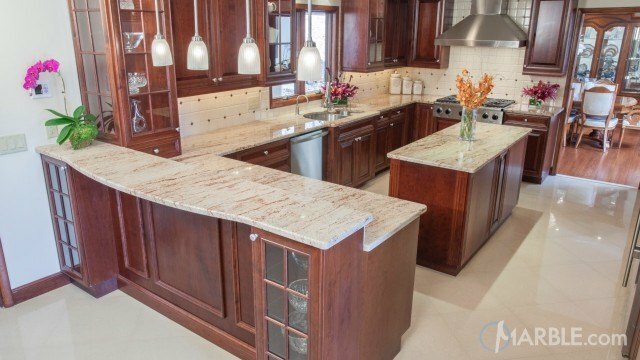 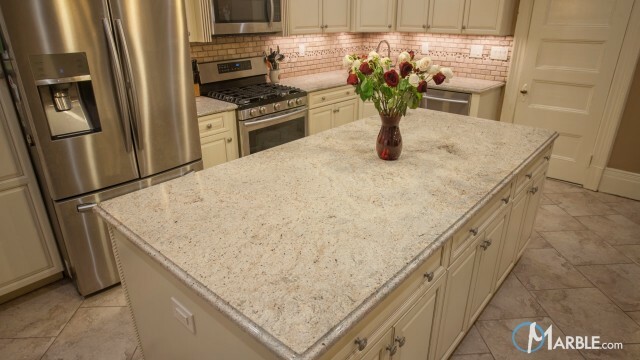 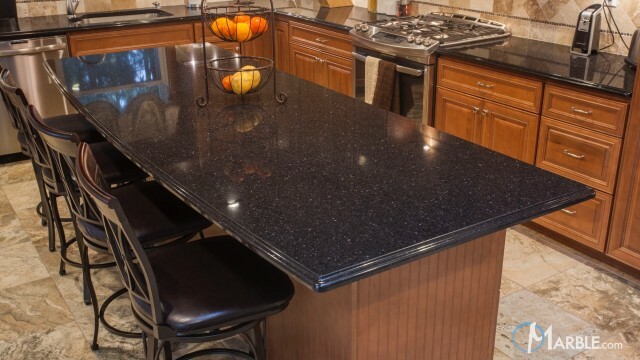 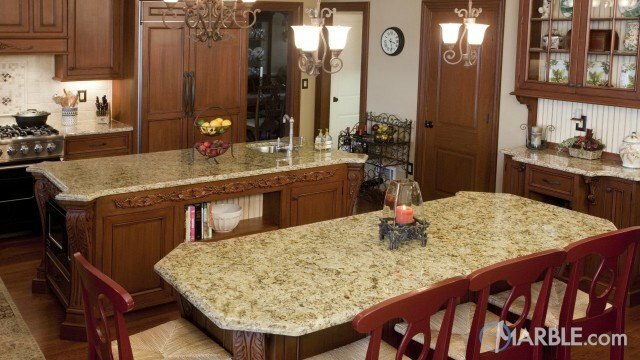 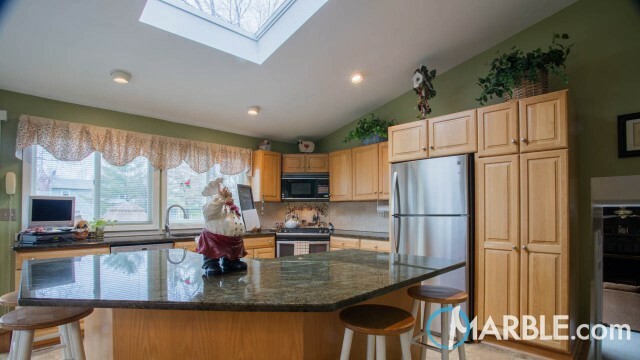 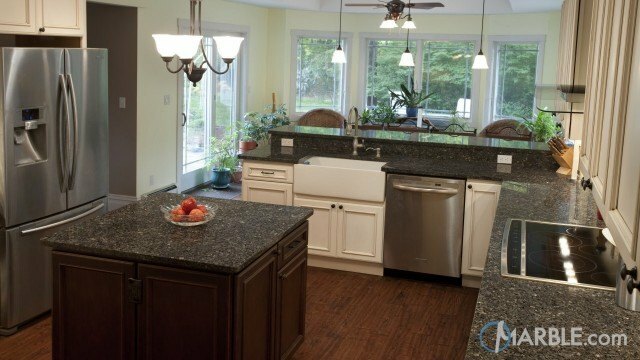 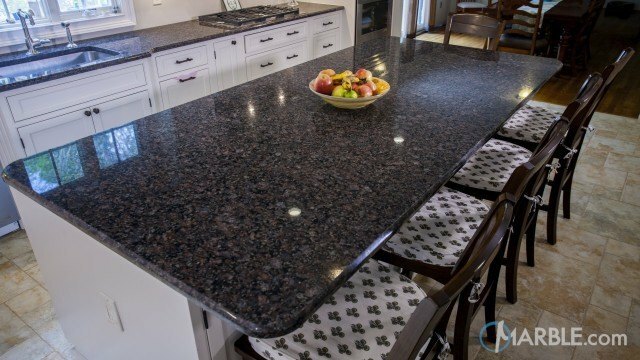 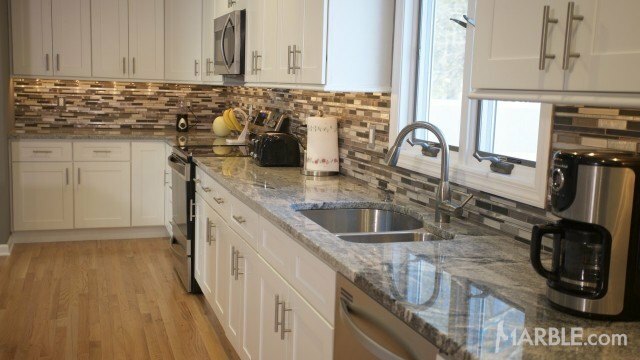 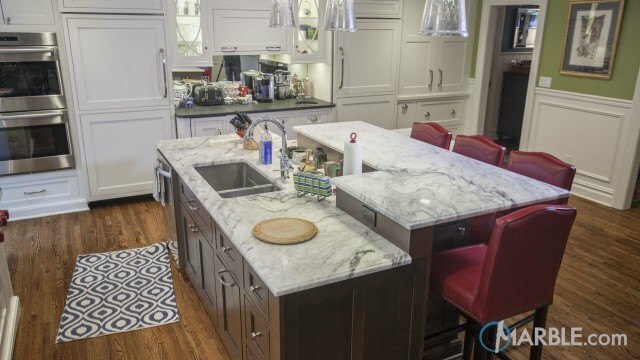 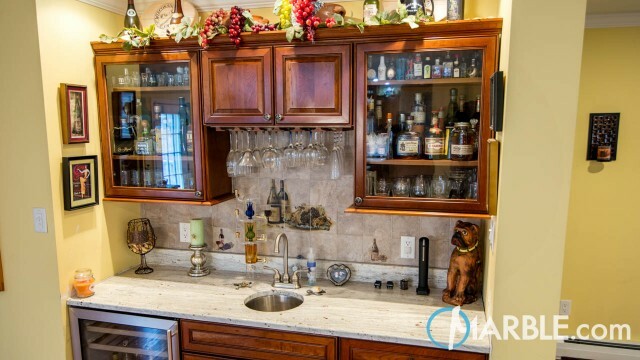 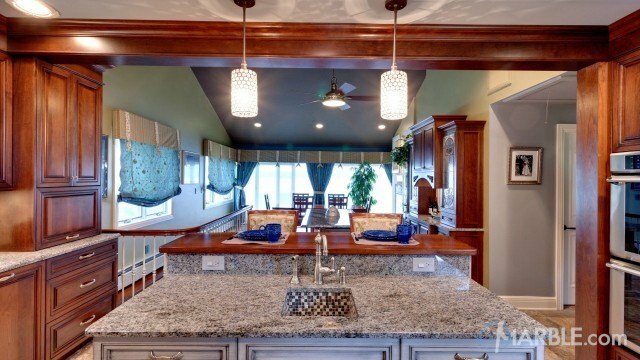 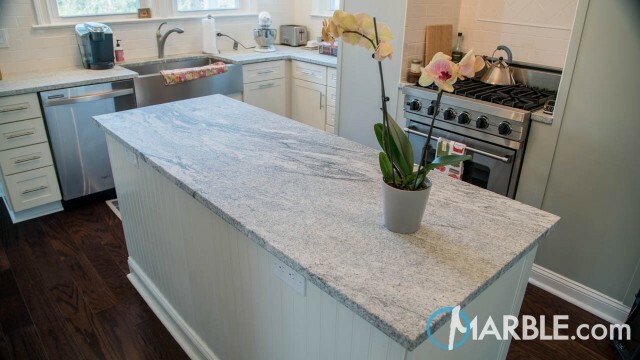 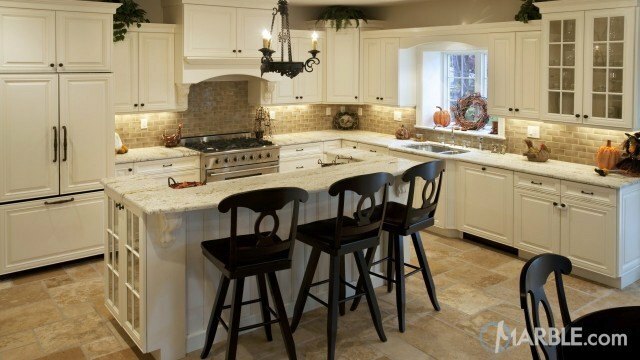 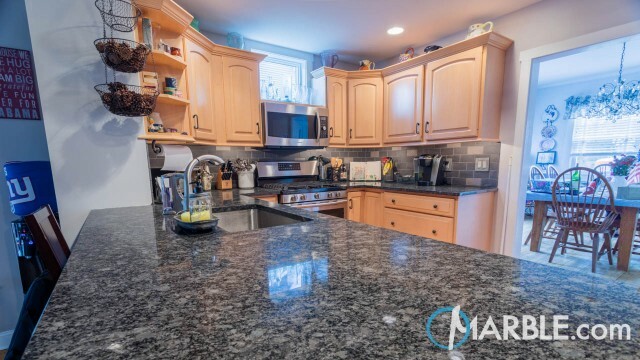 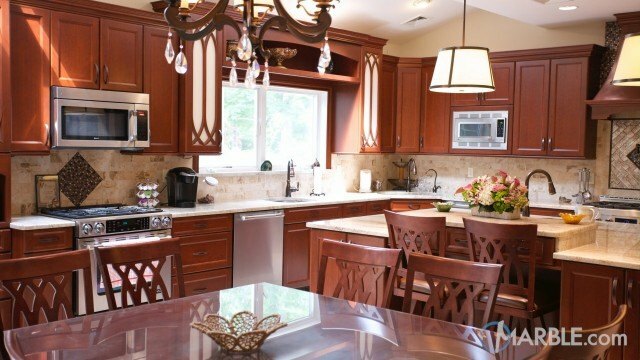 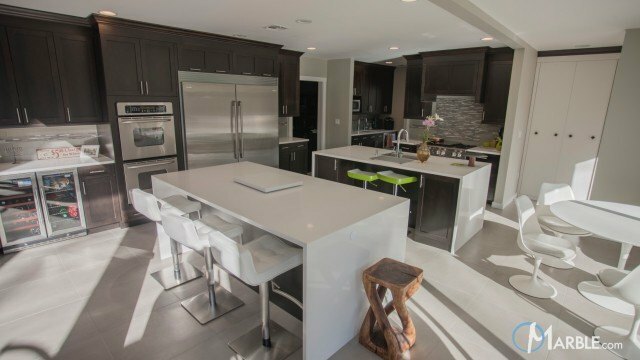 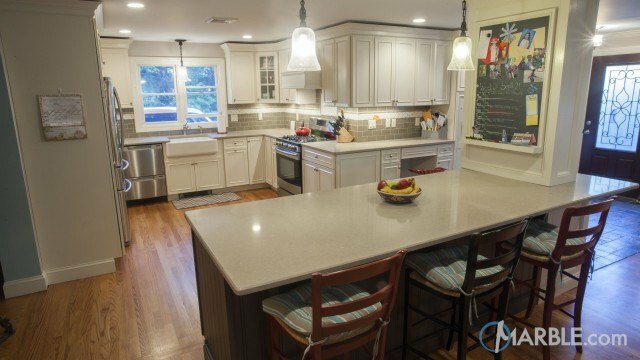 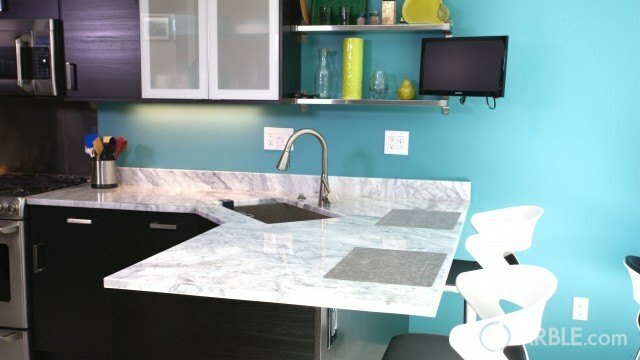 These counter tops have an Ogee Edge which provides an architectural interest. 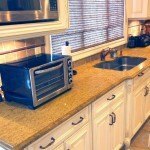 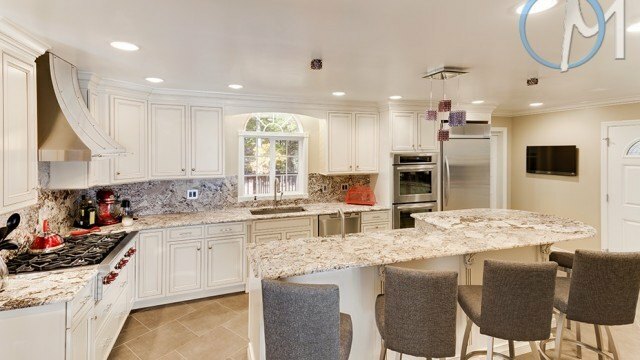 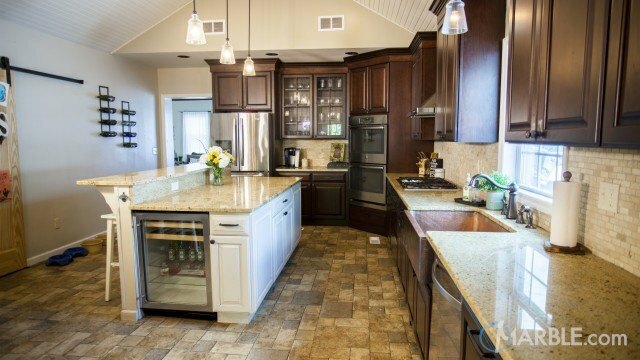 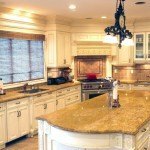 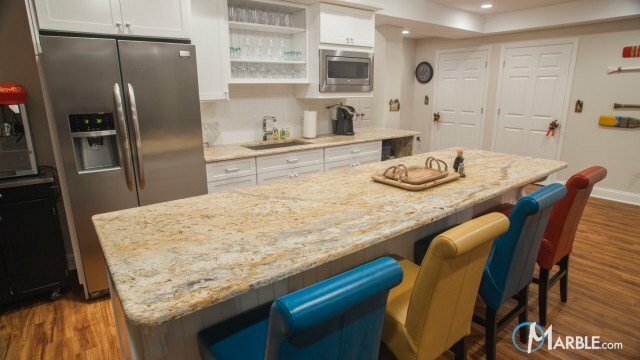 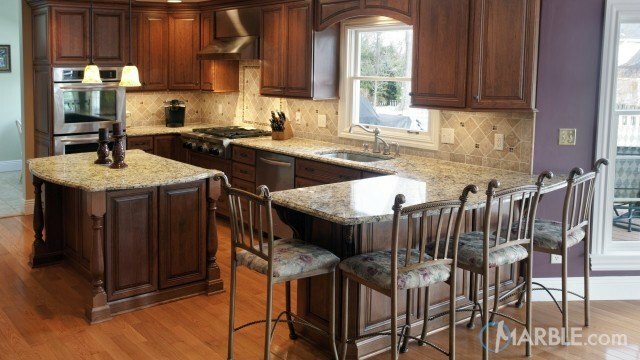 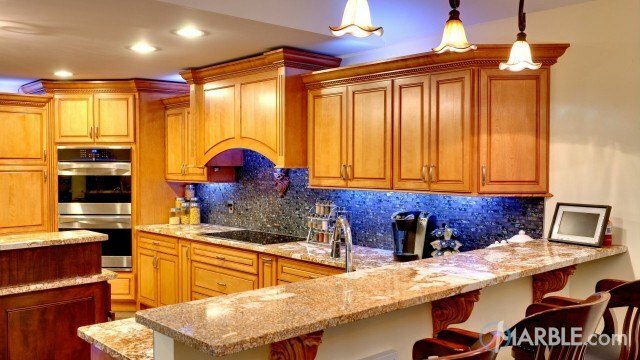 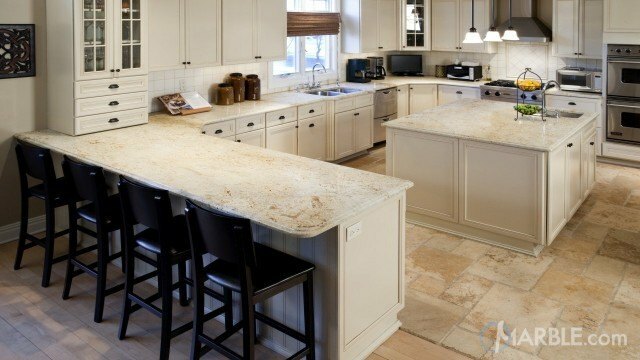 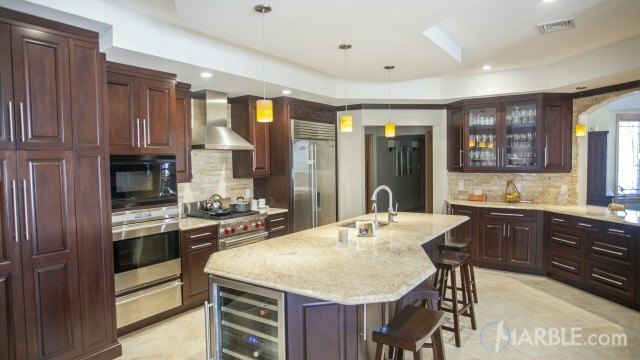 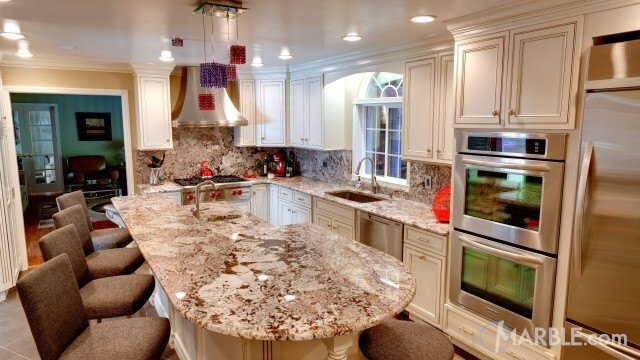 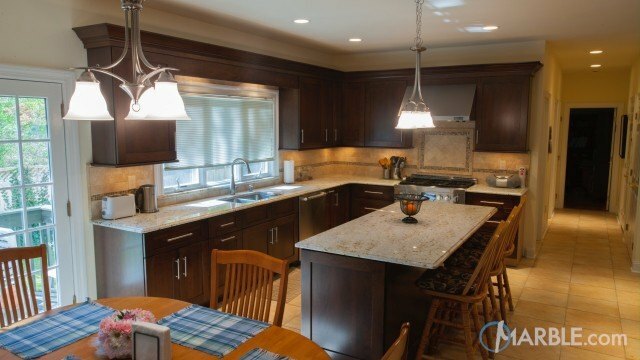 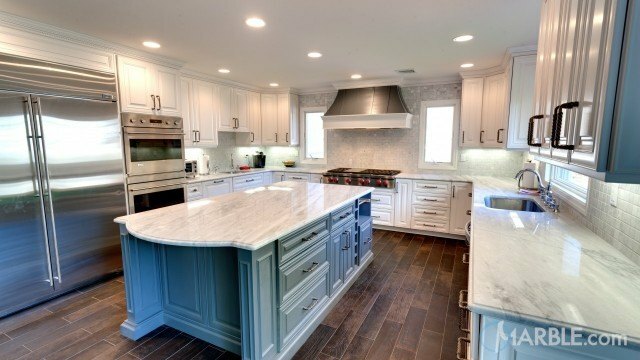 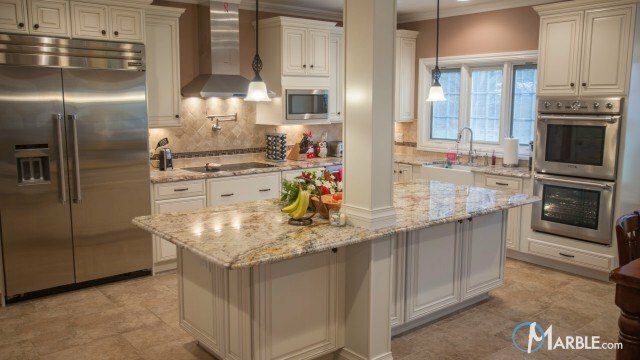 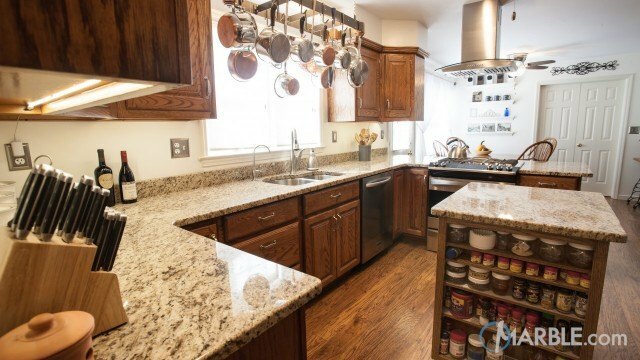 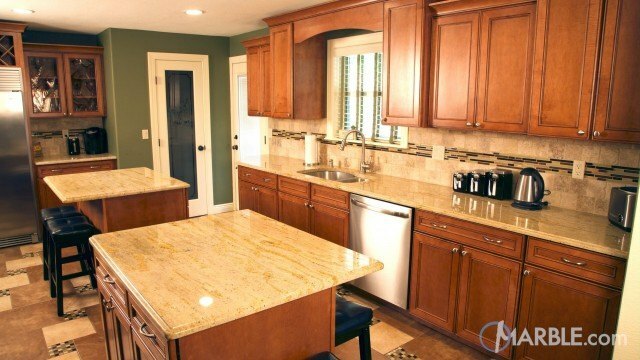 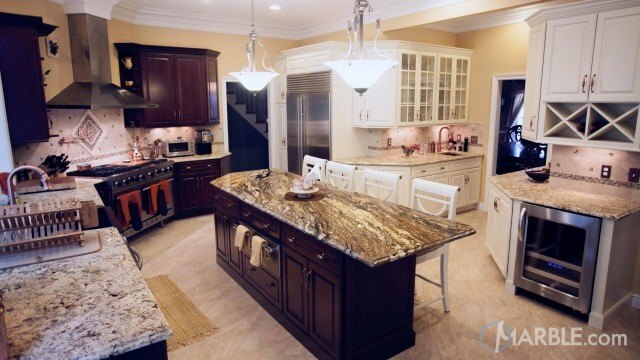 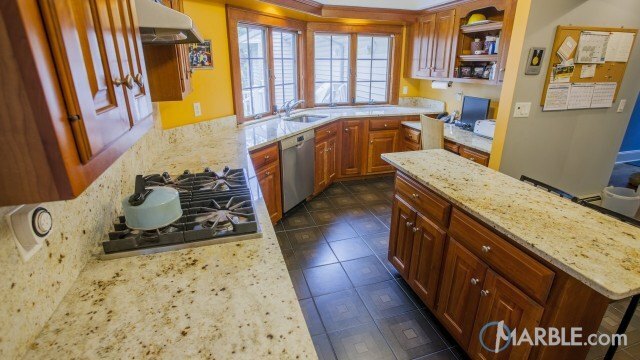 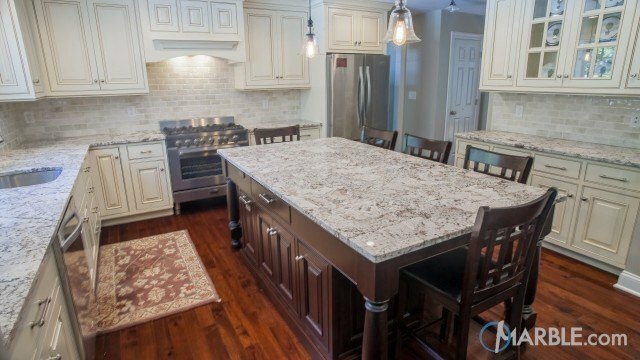 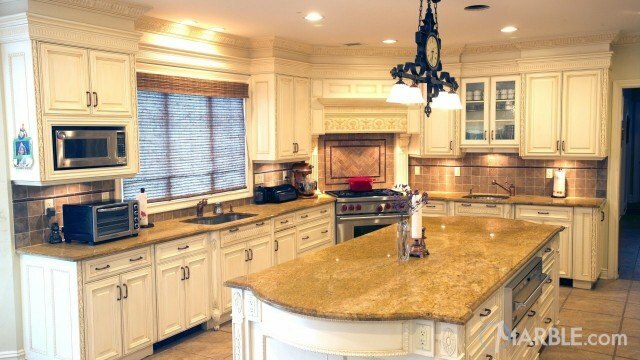 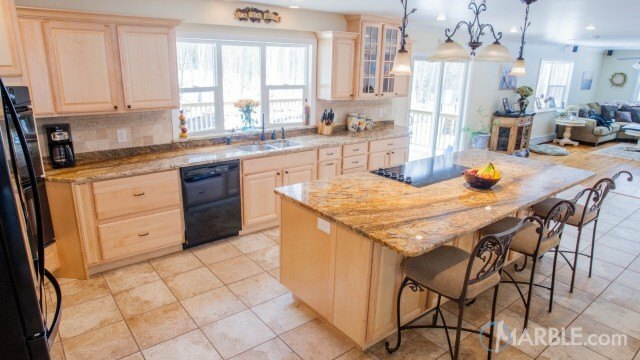 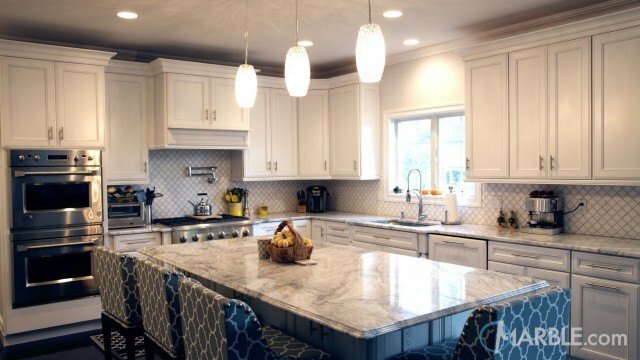 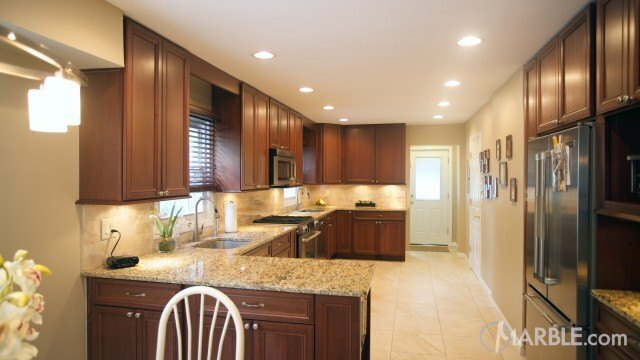 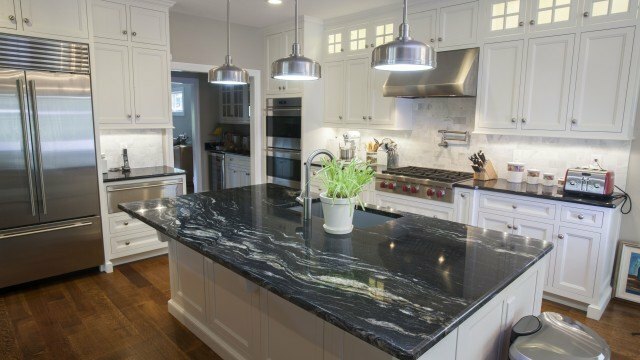 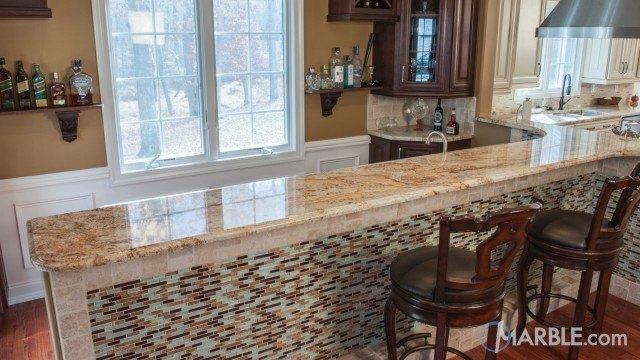 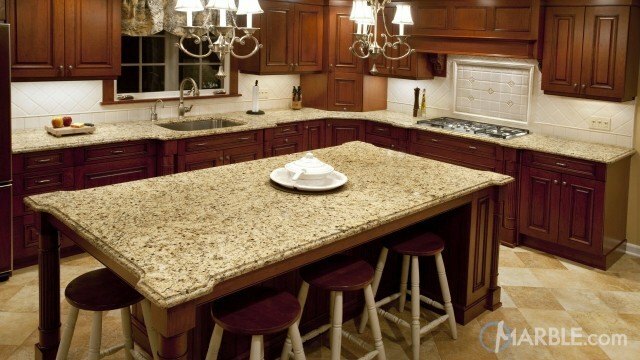 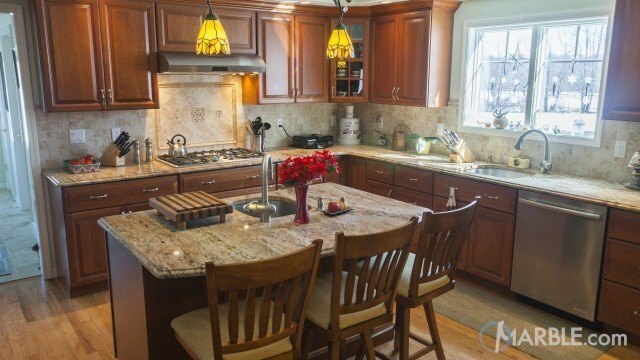 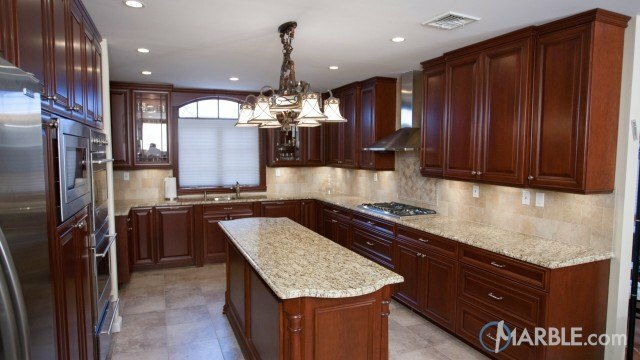 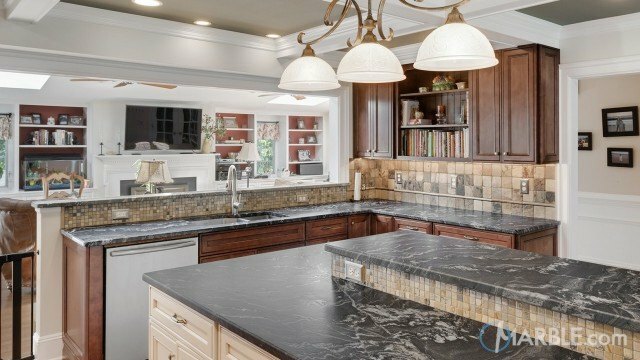 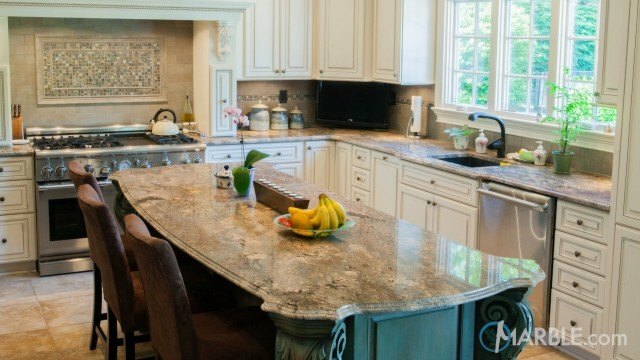 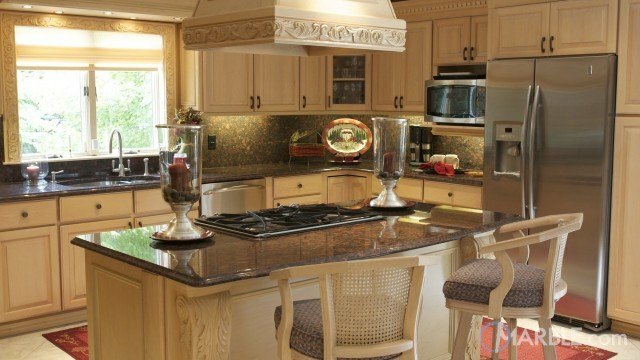 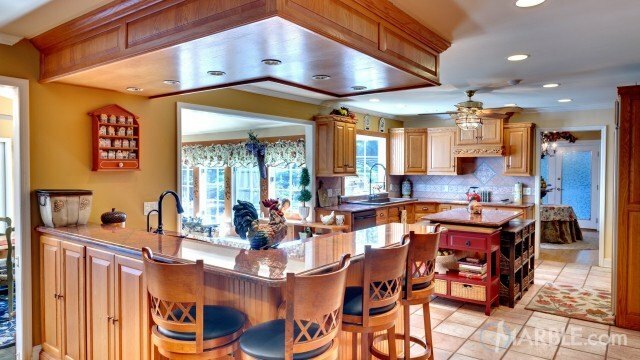 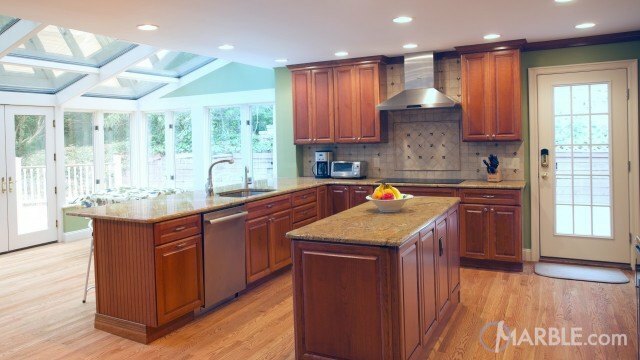 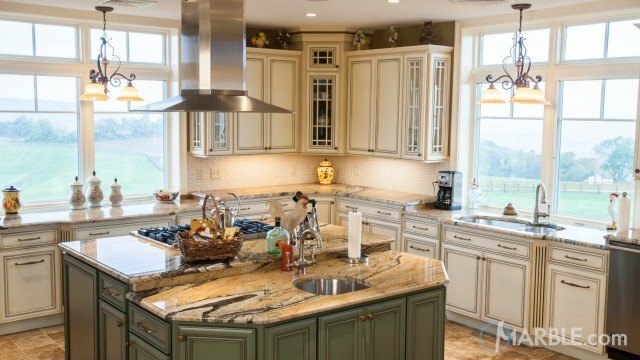 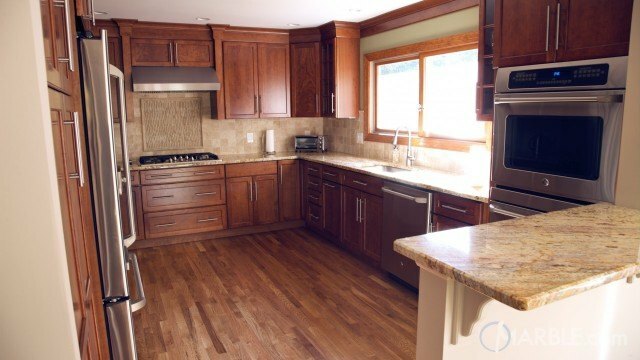 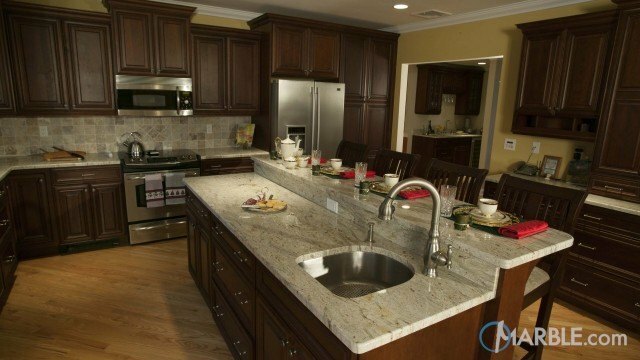 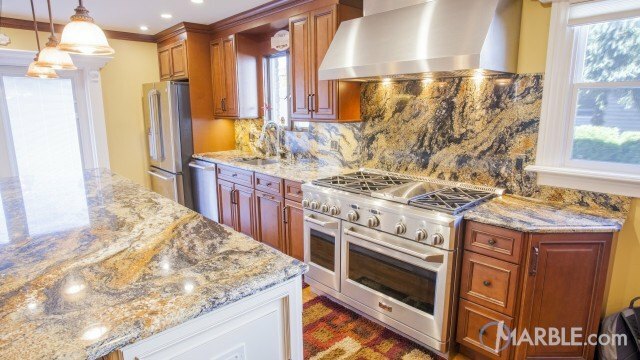 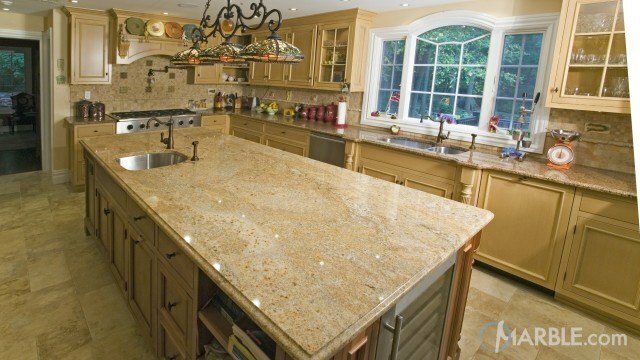 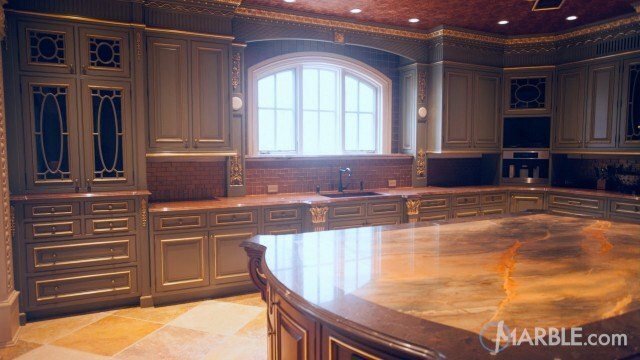 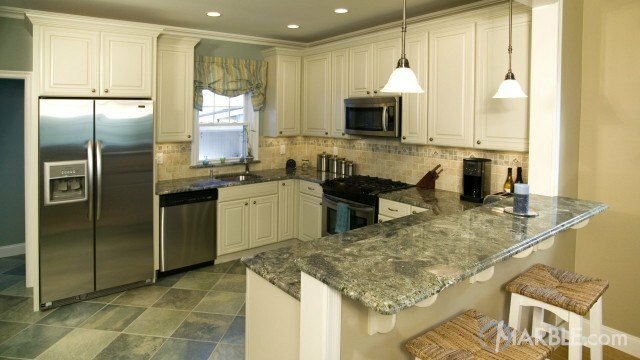 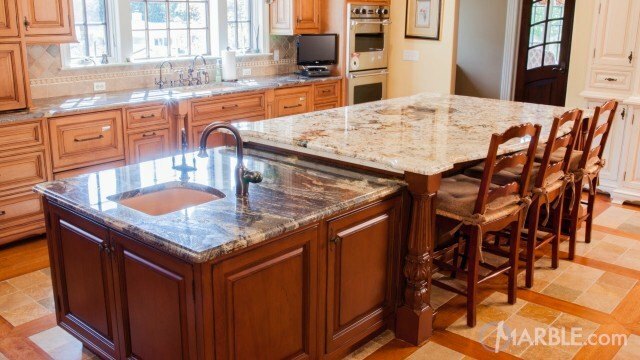 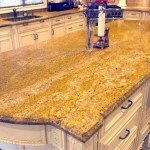 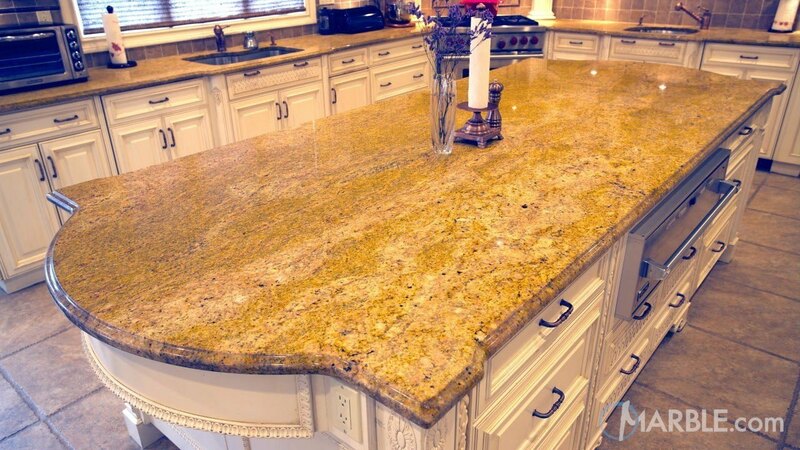 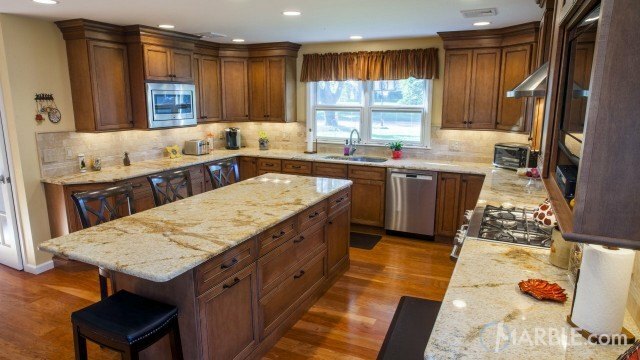 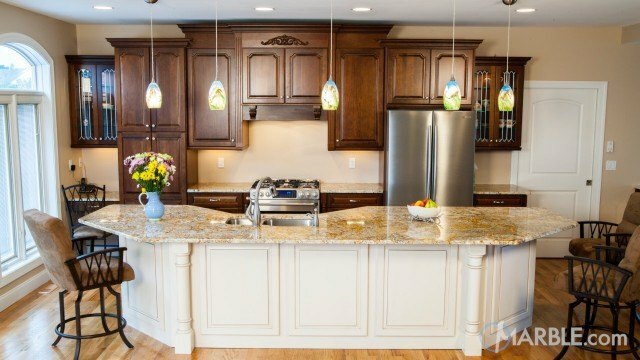 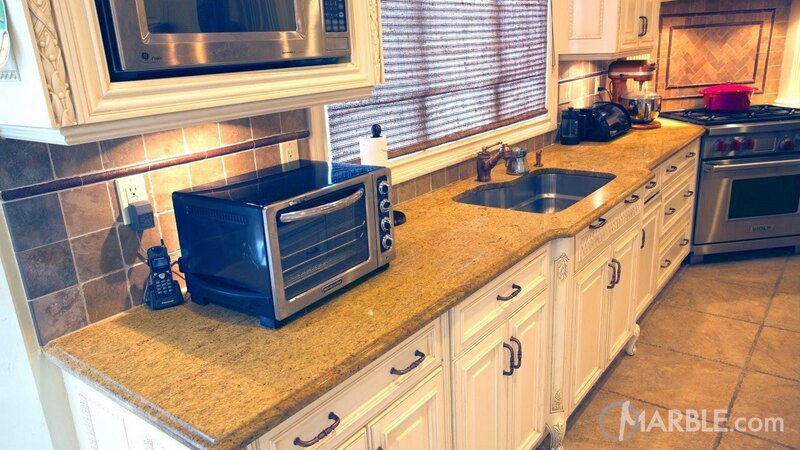 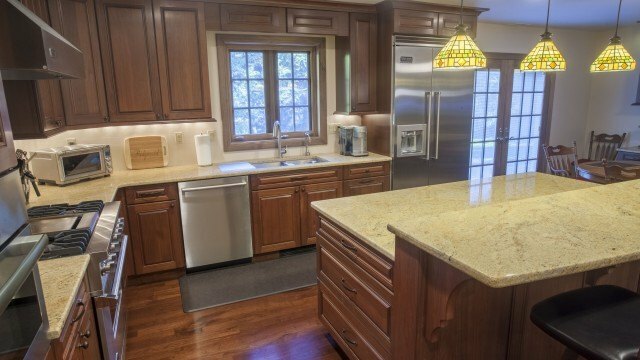 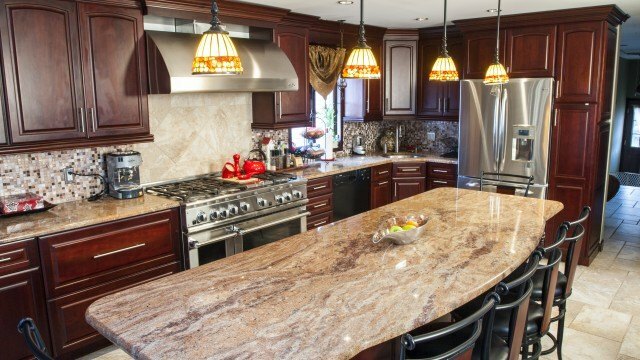 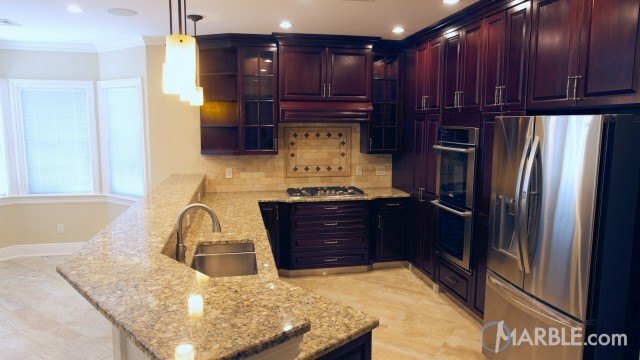 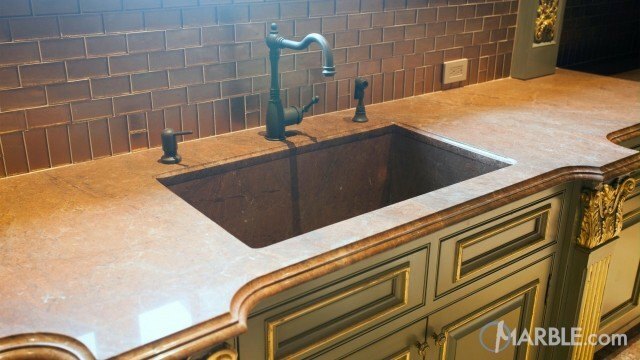 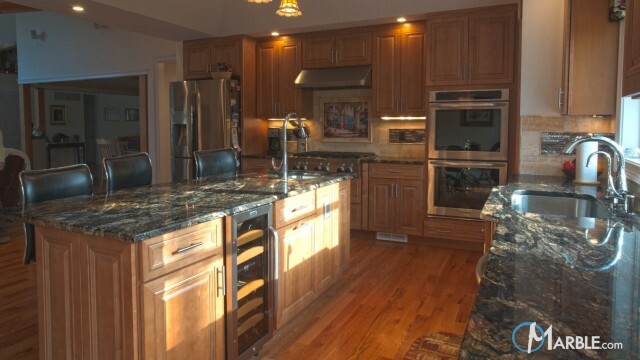 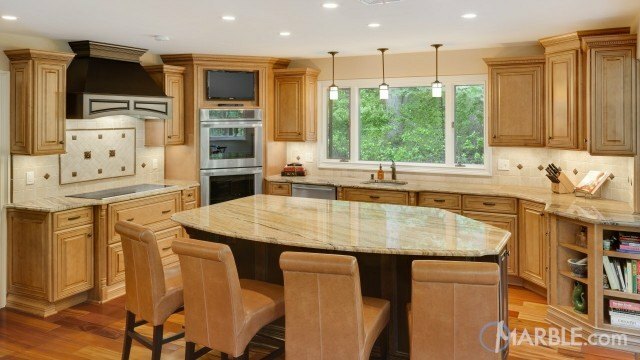 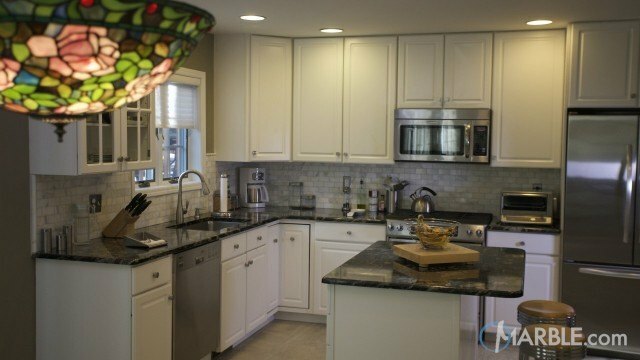 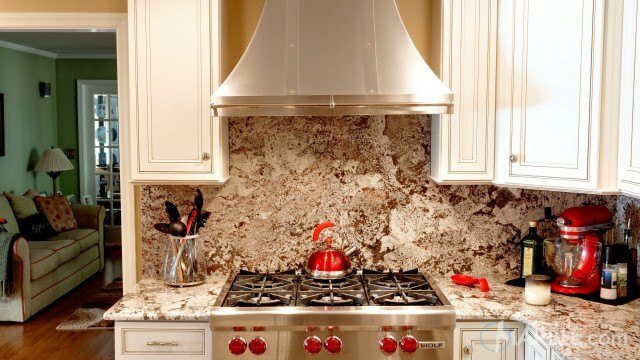 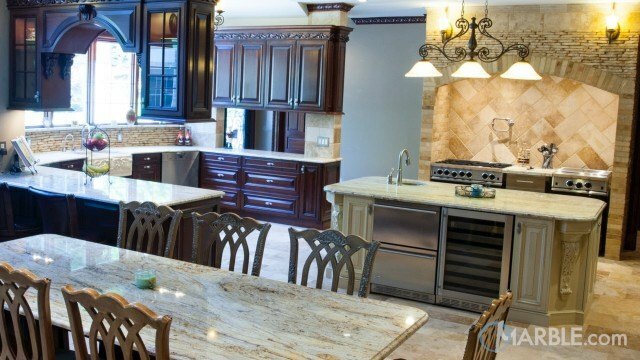 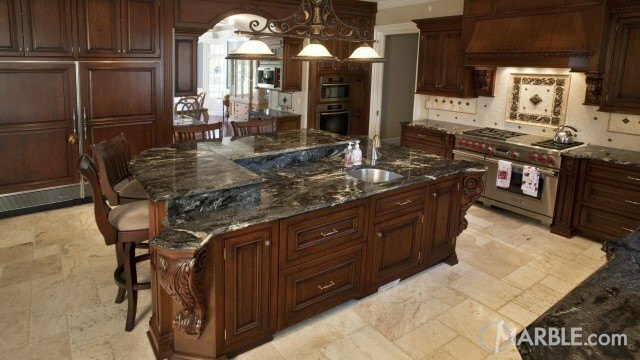 The gold in the granite sets off the white of the cabinets which in turn bring out the color of the tiles on the floor. 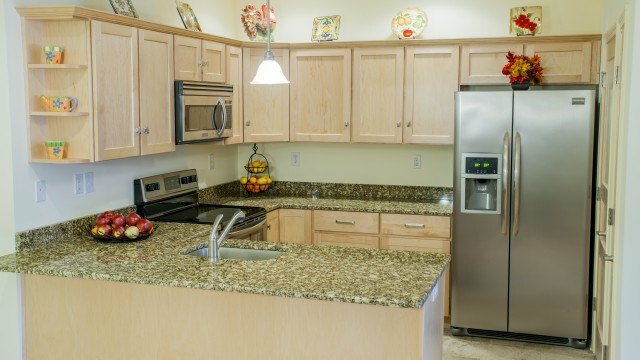 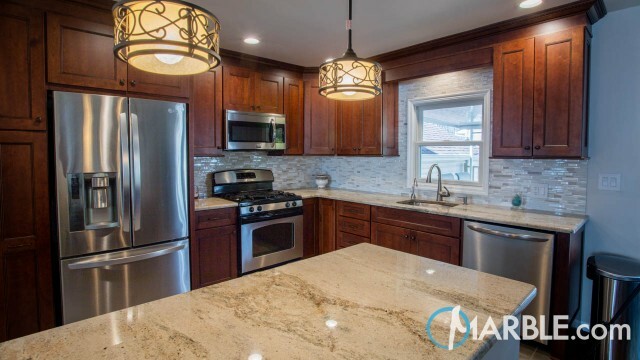 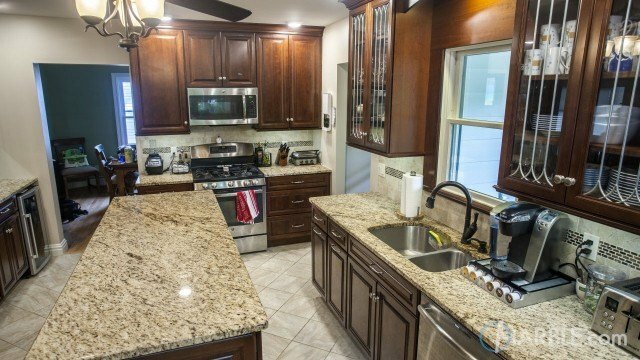 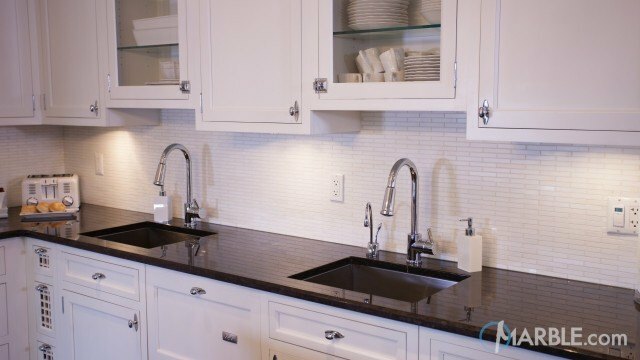 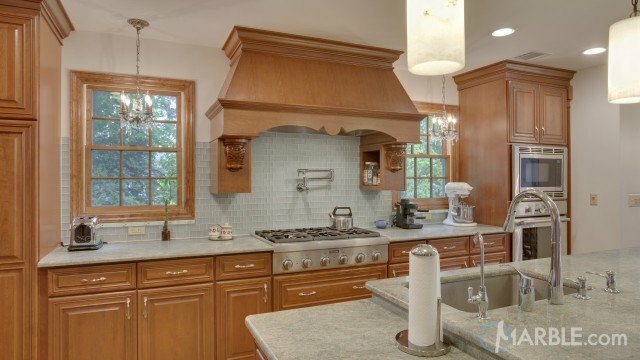 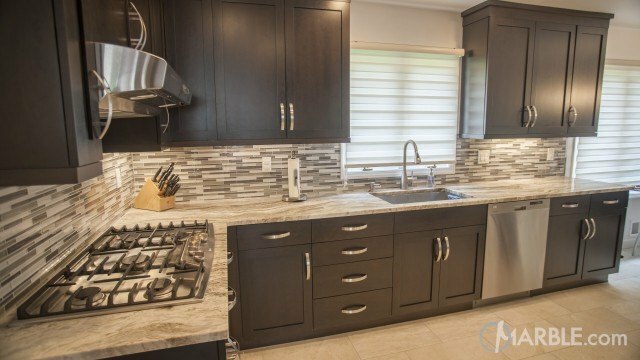 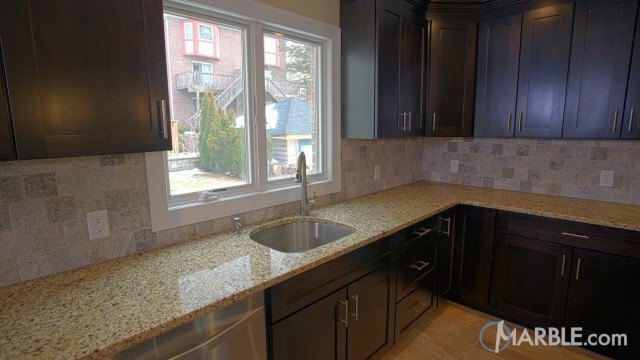 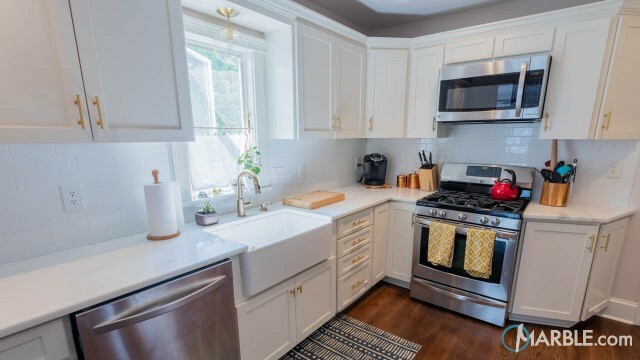 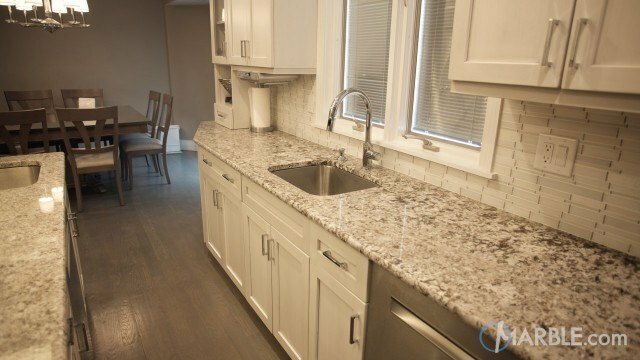 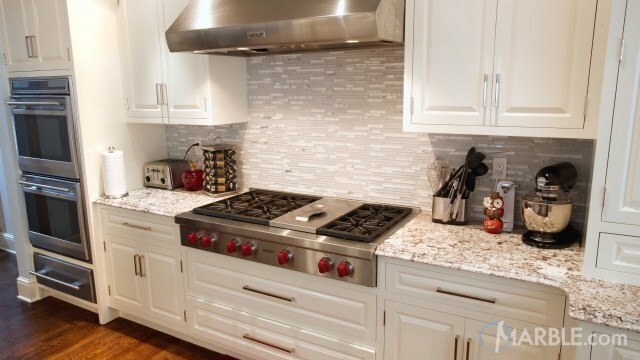 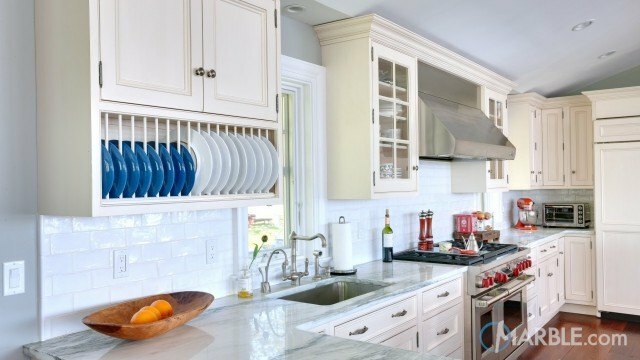 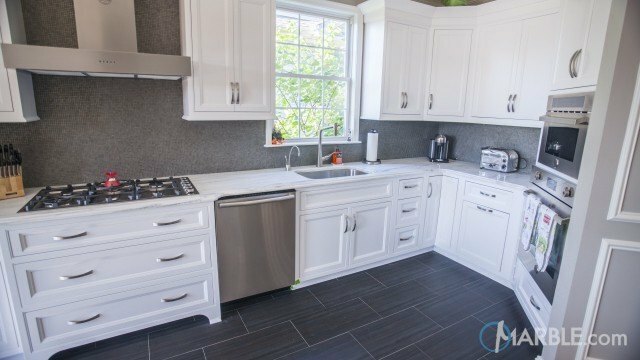 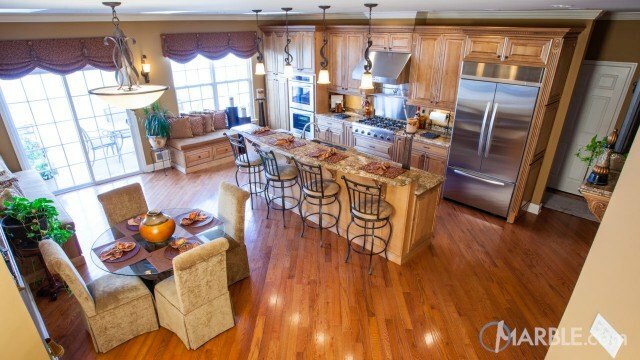 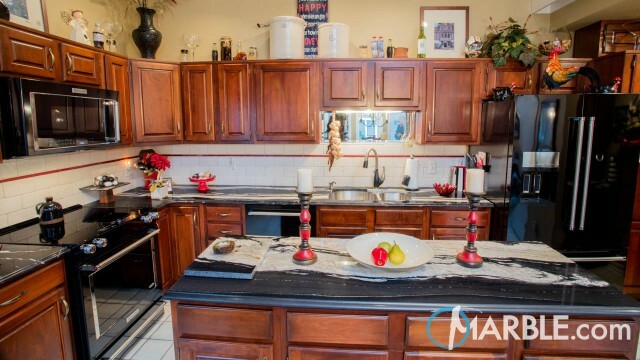 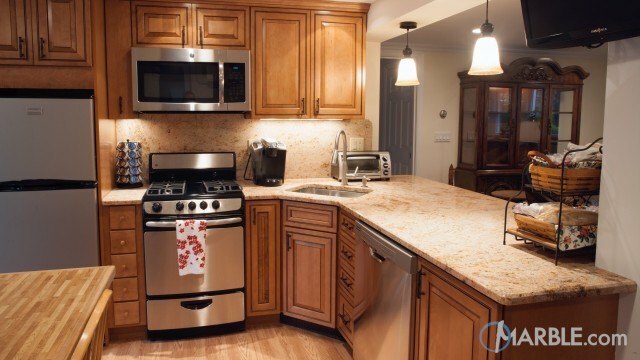 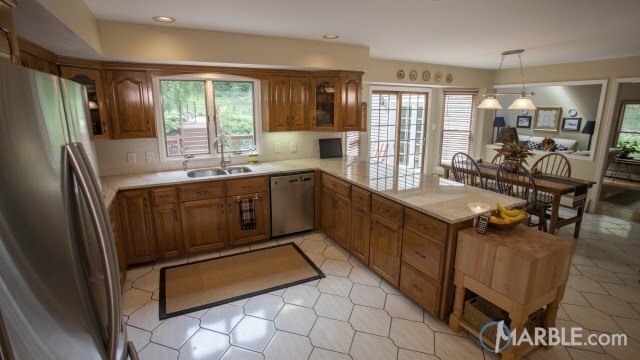 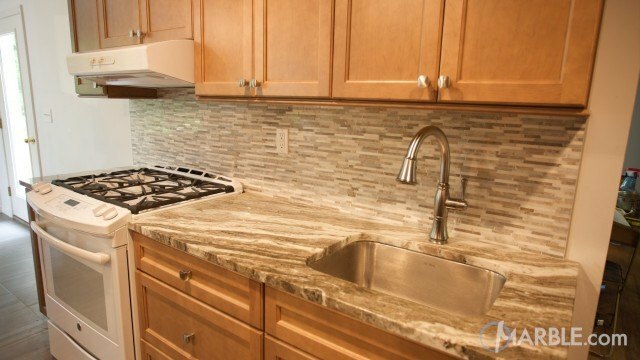 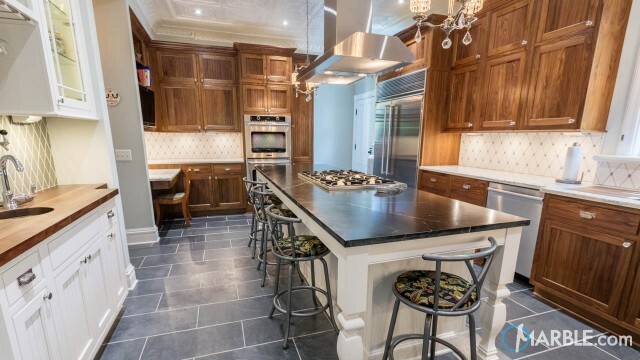 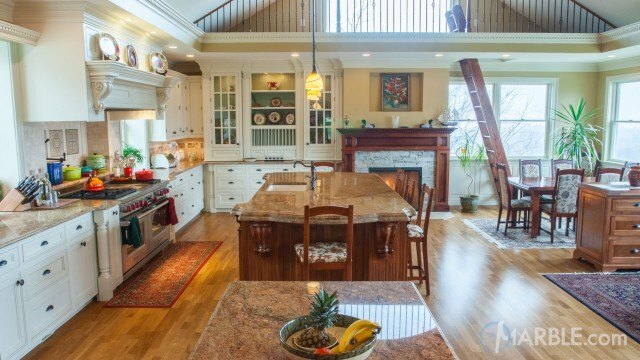 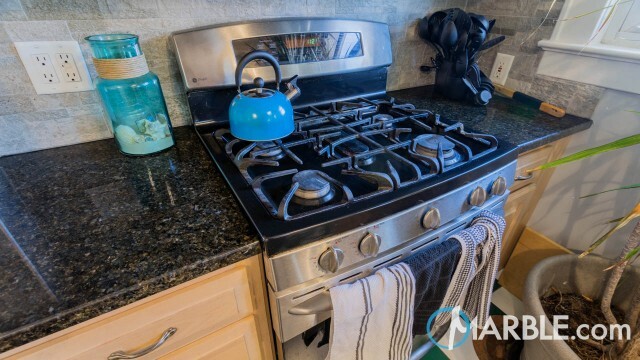 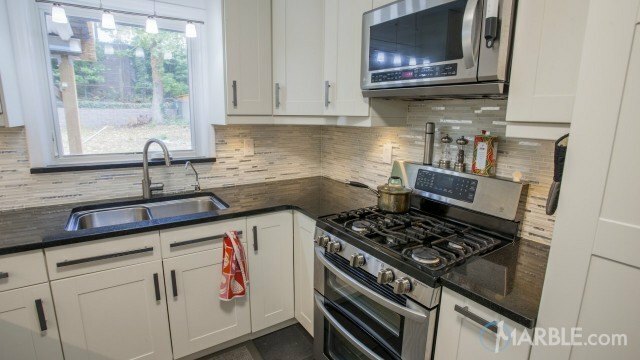 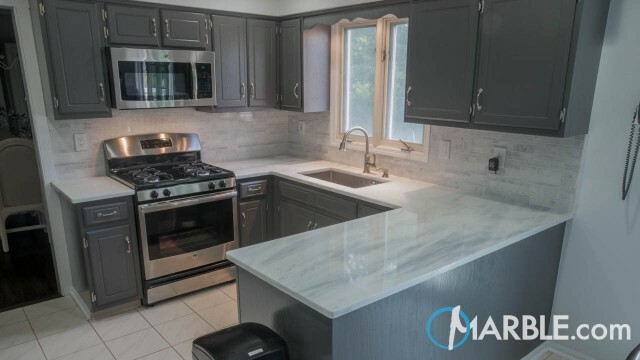 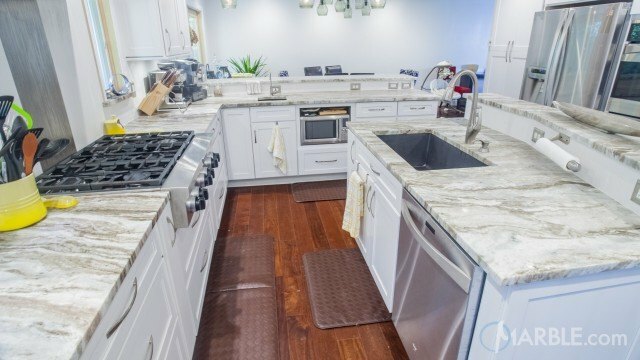 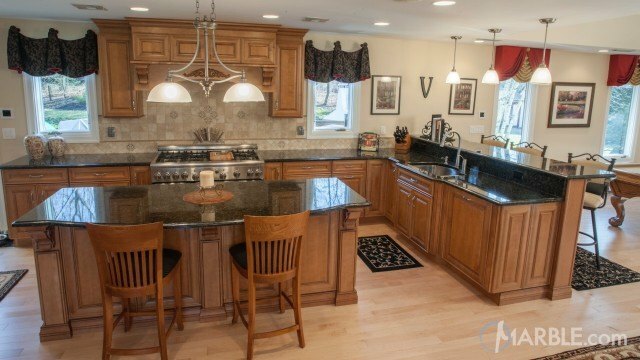 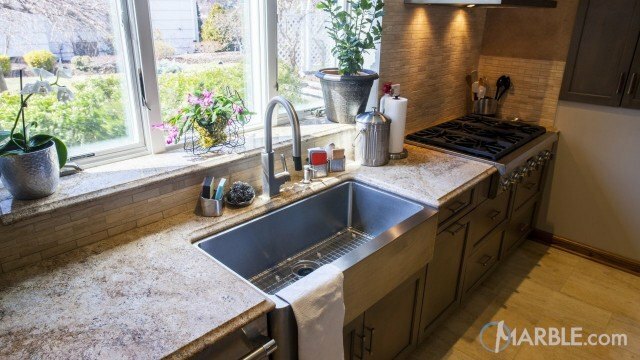 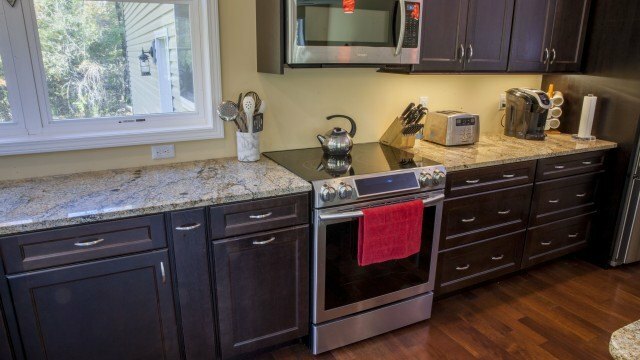 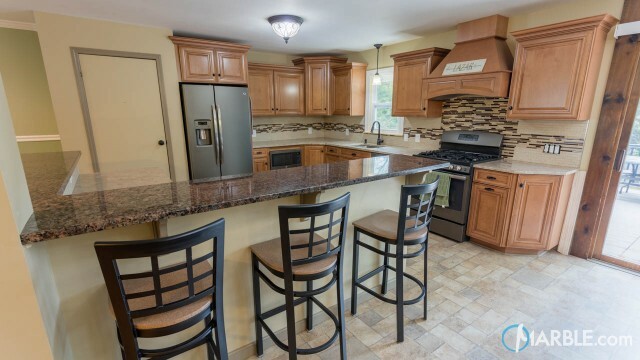 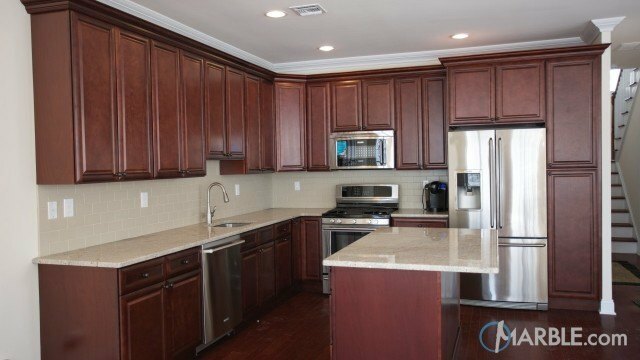 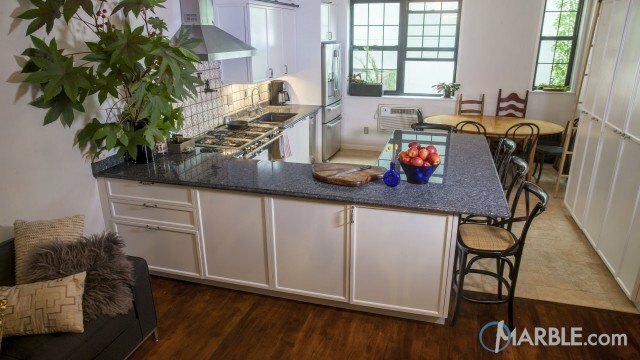 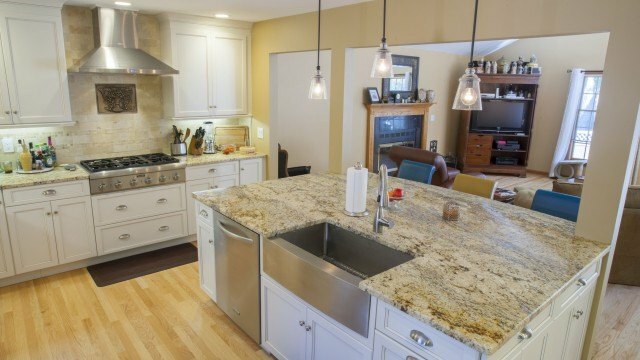 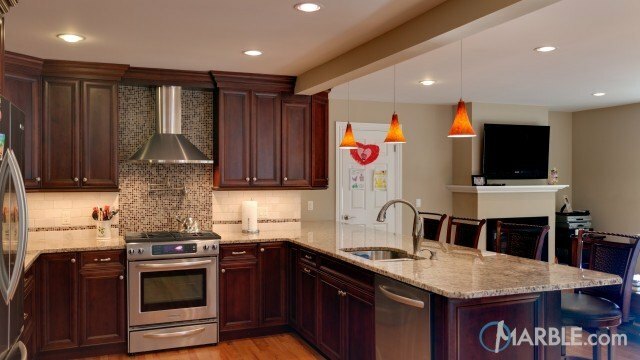 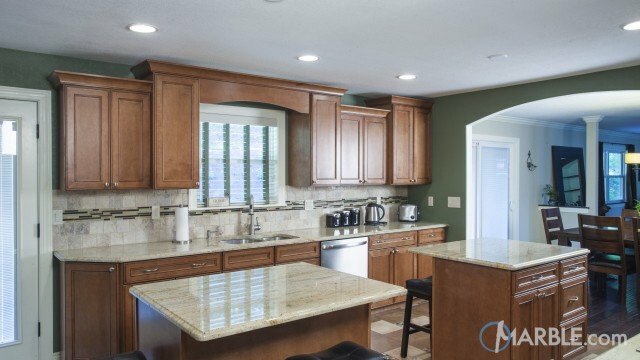 Stainless steel appliances and a stainless steel sink provide a homey feeling.